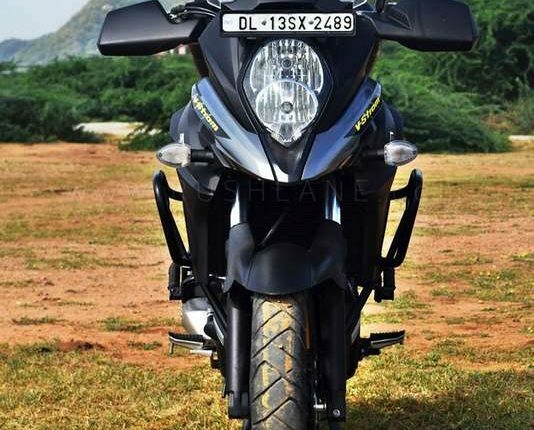 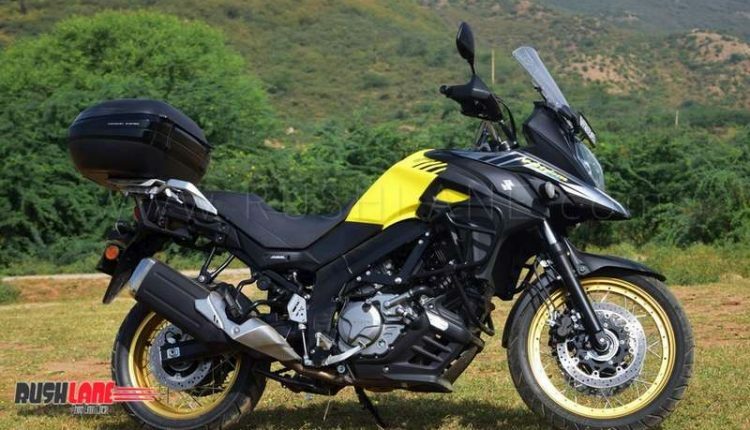 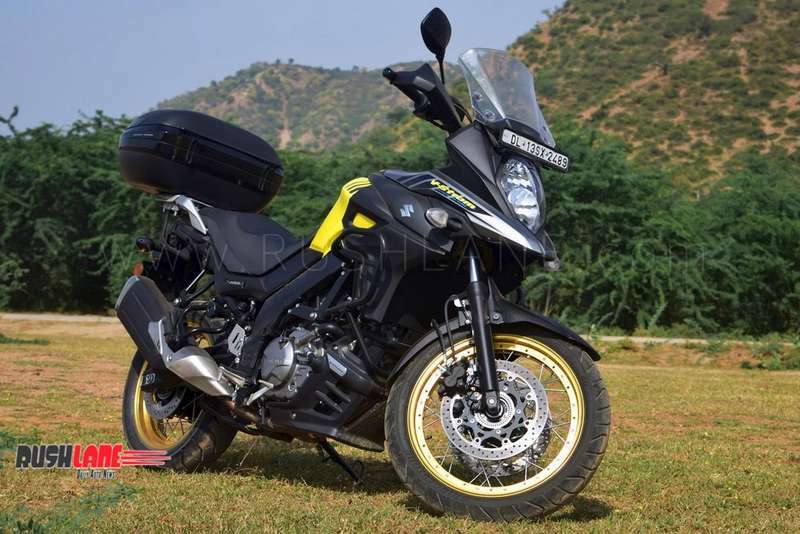 The Suzuki V-Strom 1000 didn’t really take off well in India- though being a sorted out machine with lovely touring credentials and despite baptized with an adventure tag- it wasn’t a motorcycle that one would love taking to trails. 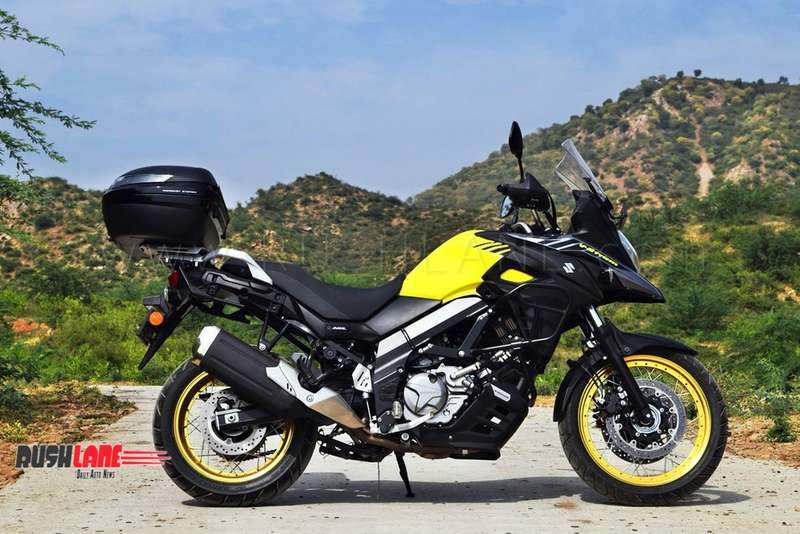 It was more of a two wheeled version of a four wheeled soft-roader with great on road manners and passable off-road ability. 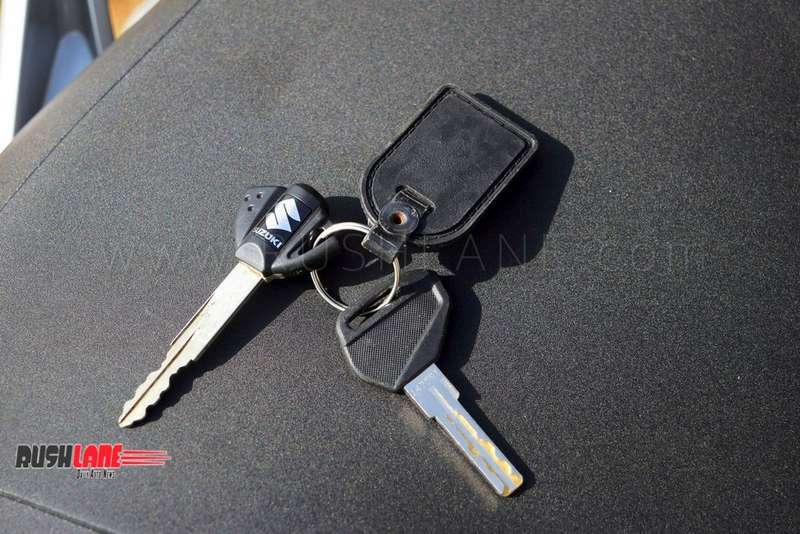 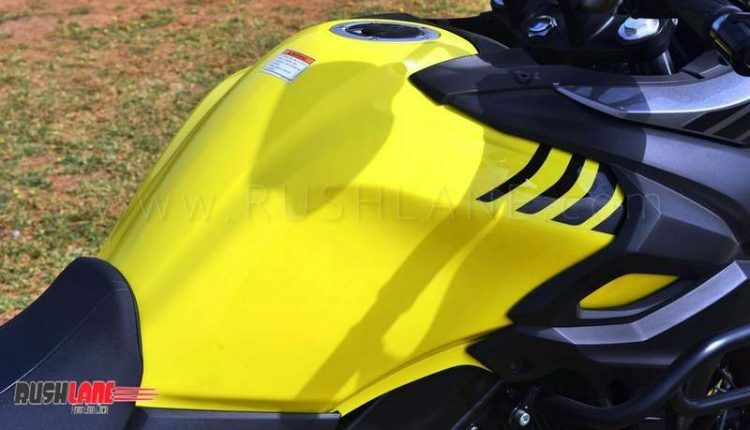 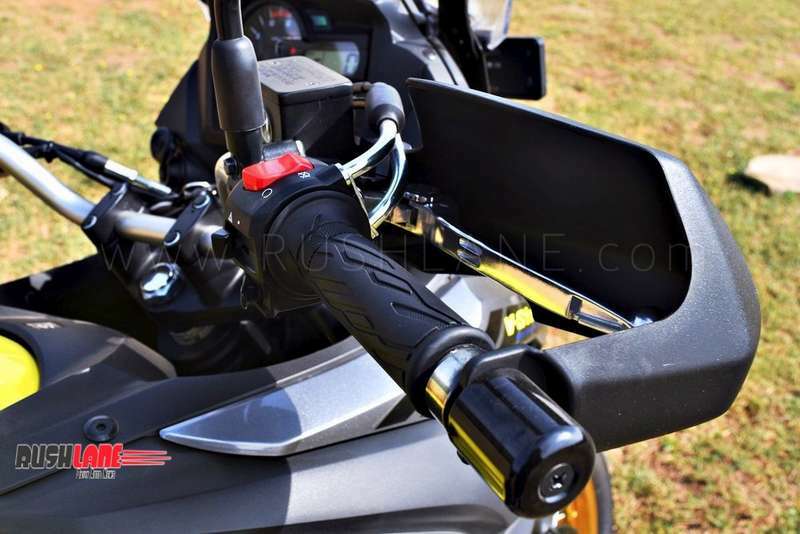 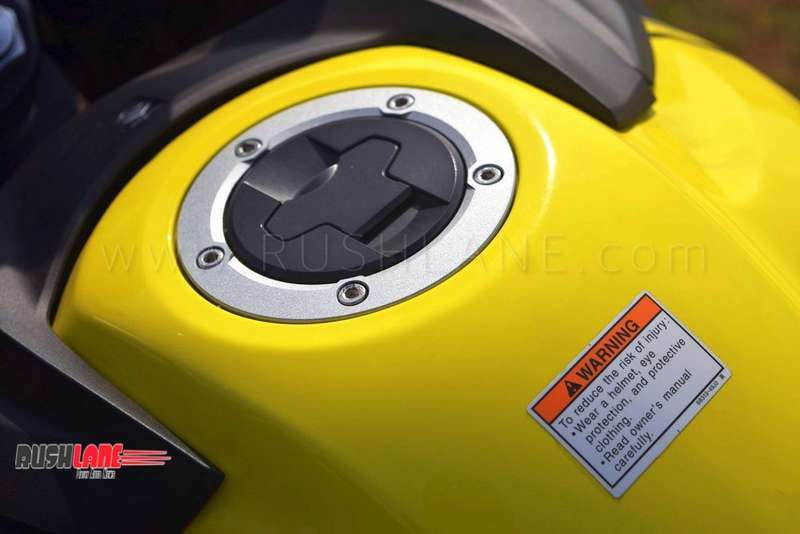 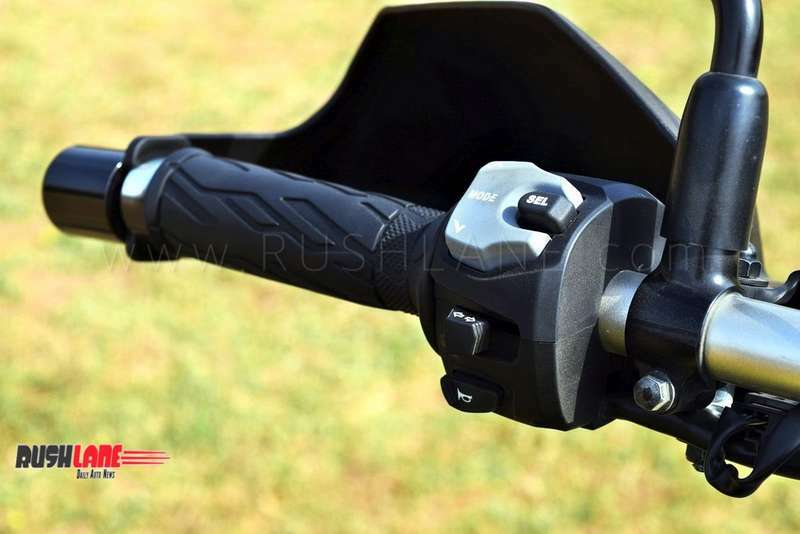 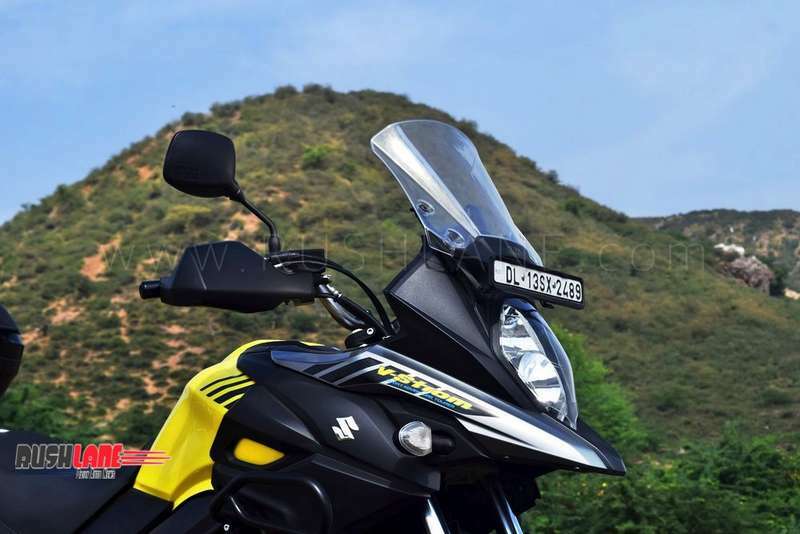 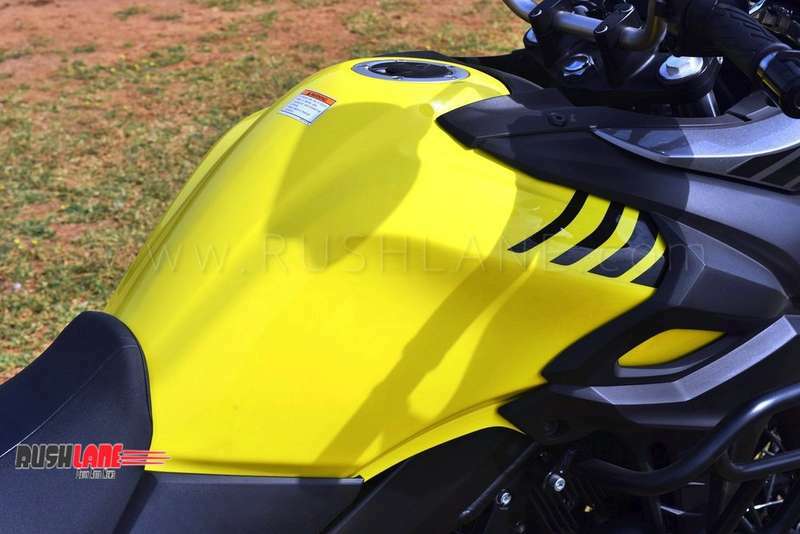 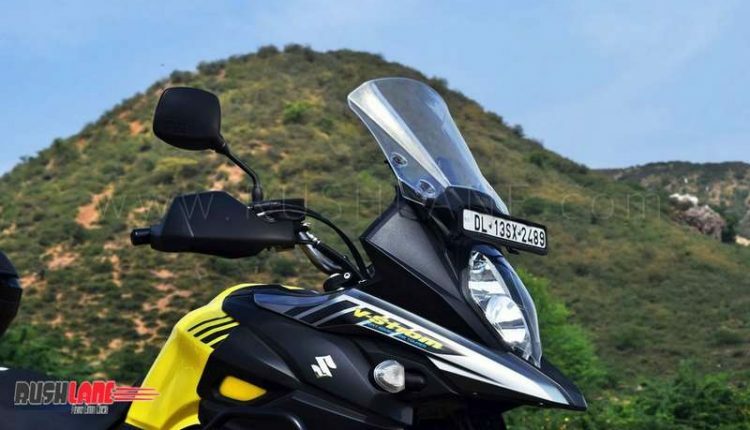 To add, the pricing put it in competing territory of motorcycles befitting the adventure tag on a more capable front. 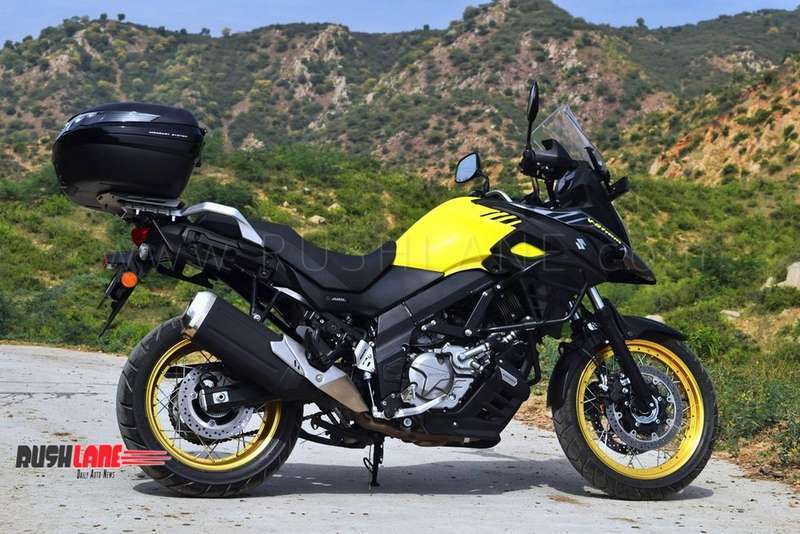 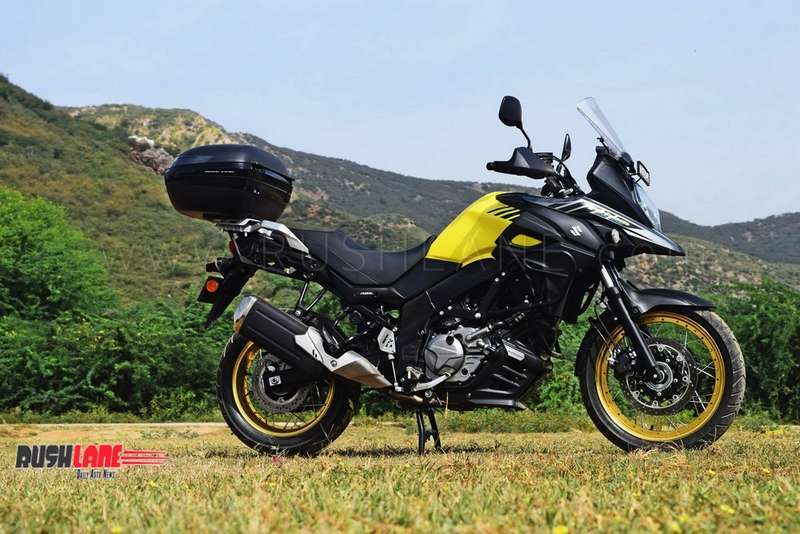 Thankfully the blokes at Suzuki kept their spirits and took a slightly altered route to get back into the lucrative adventure touring space with the new Suzuki V-Strom 650 XT. 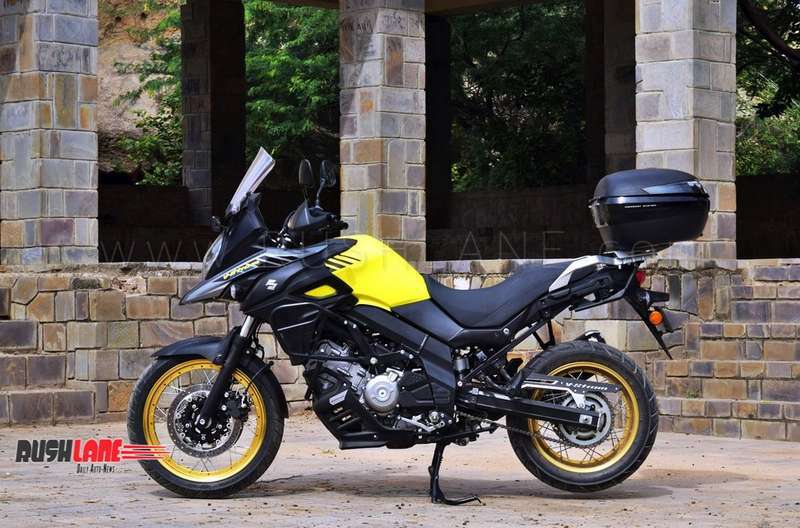 The tall touring stance, decent suspension travel at both ends, a sizeable fuel tank, touring screen, wired wheels, a nicely scooped rider seat with mounts in place to hang around all your touring bits and a smooth motor nestled between the perimeter frame- the new Suzuki V-Strom 650 XT looks all set for a relentless rendezvous with the horizon. 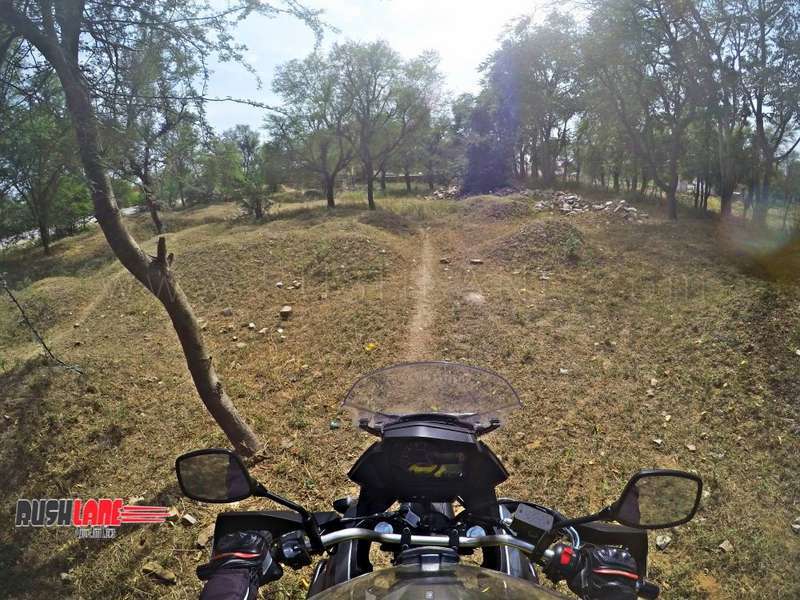 We took the new V-Strom XT around Jaipur- riding all day putting it through the paces on every type of terrain that came our way to opine if the new bid from Suzuki shakes up the space or their new offering goes down the road in similar fashion as its elder sibling. 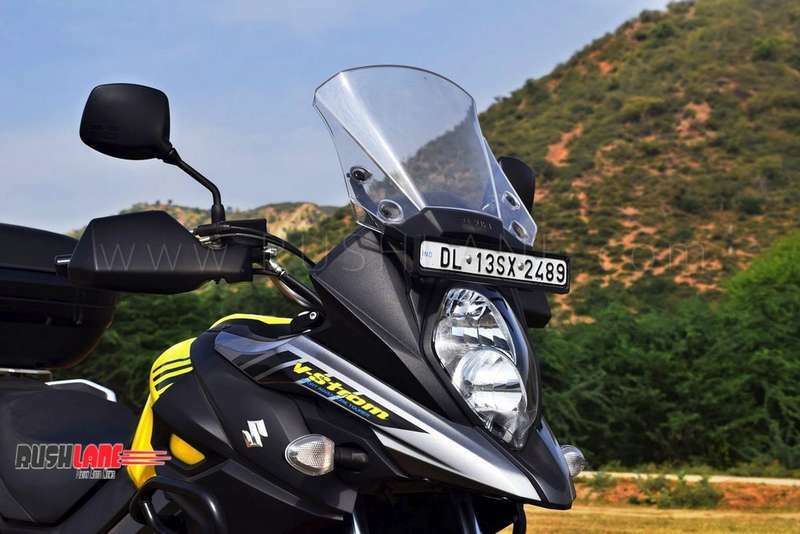 New Suzuki V-Strom 650 XT hits a home run at first sight. 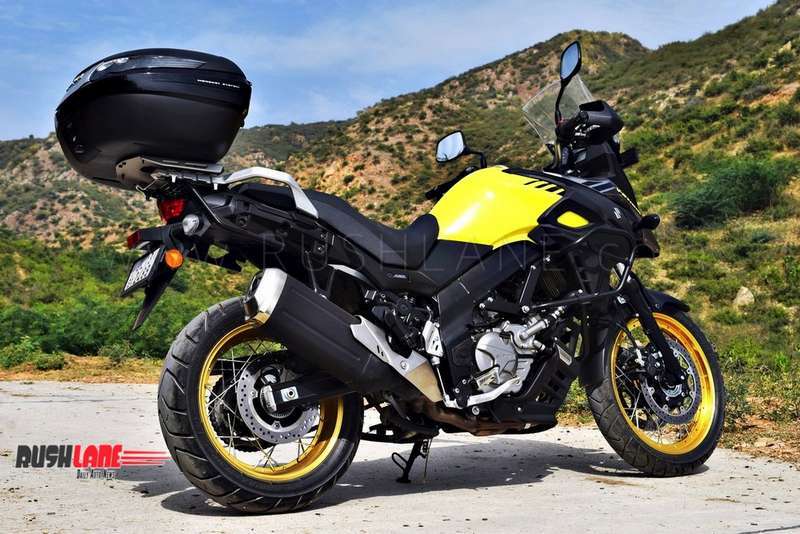 It’s amazing how a different color scheme transforms a motorcycle into an object of desire. 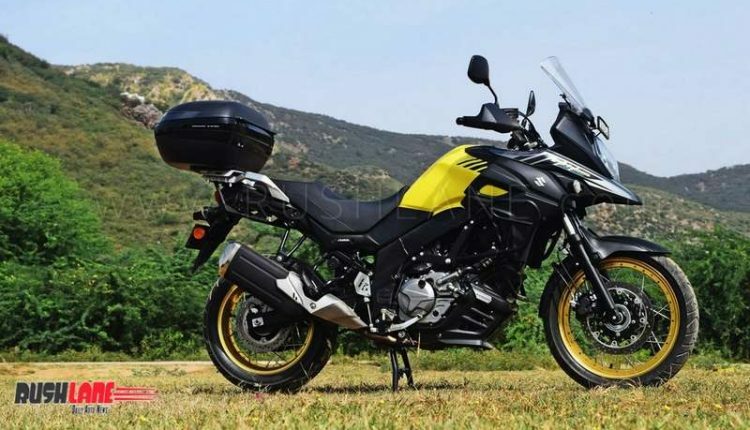 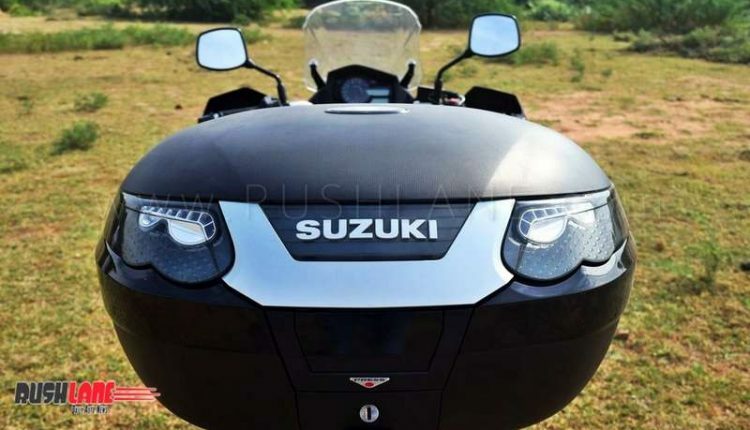 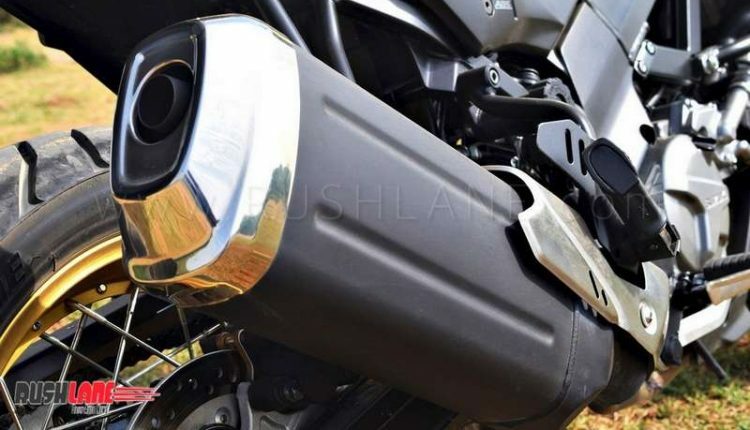 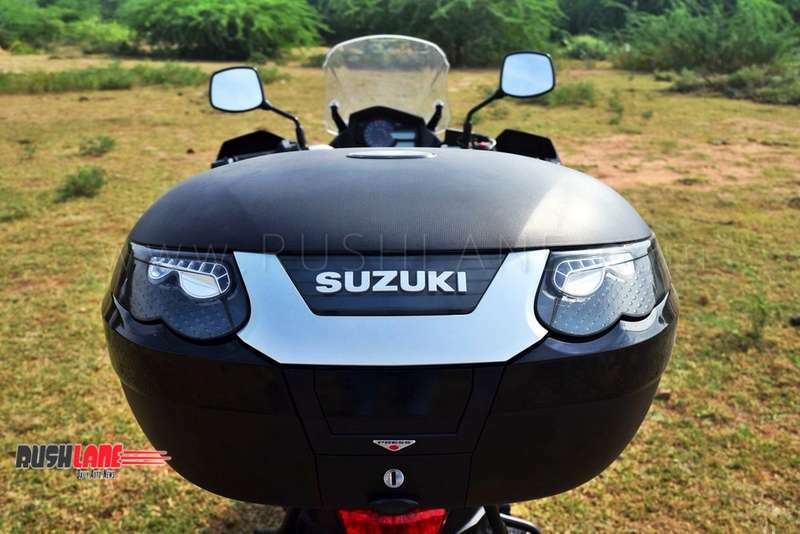 Not that its elder sibling in its previous avatar was a bad looking motorcycle- it had nearly everything that a tourer might want in a motorcycle including the much fabled beak. 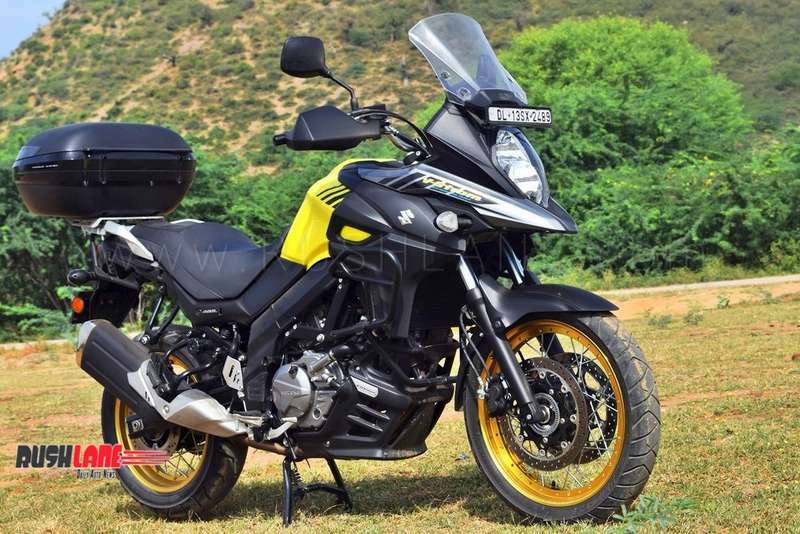 But the new 650 XT brings the eye candy factor into proposition so well that you’d end up falling in love for its looks- at least we did. 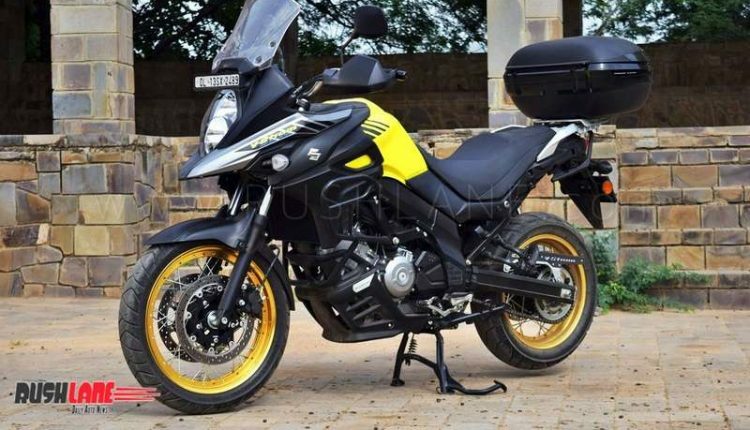 The gorgeous play of yellow and black accents- and oh those wired gold anodized rims- its succulent and you would want one right away. 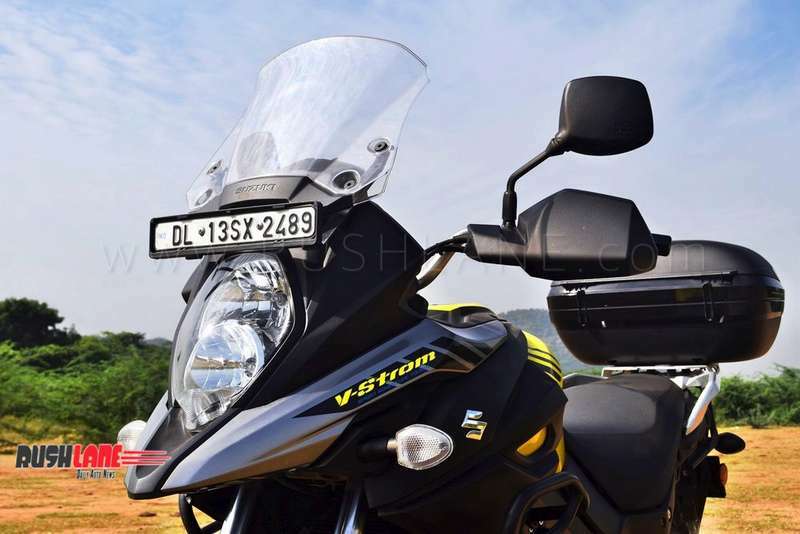 While on the ride- I couldn’t help but compare it to the feel of the V-Strom 1000 and it all started with the engine. 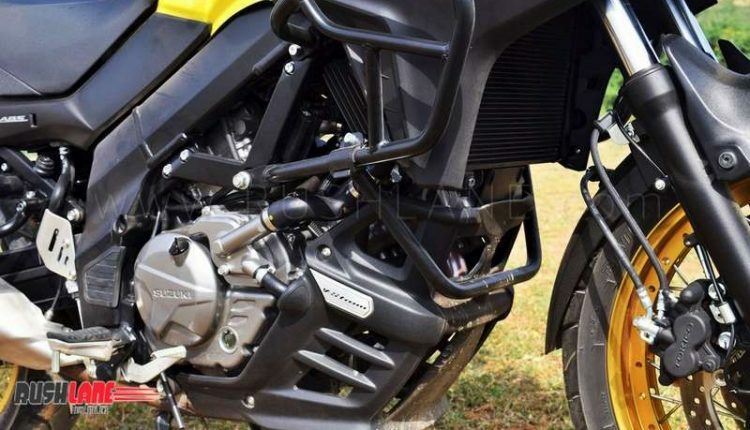 Cranking out 71 ps of max power @ 8800 rpm and peak torque of 62 nm @ 5500 rpm- the twin spark’d 645cc V-twin on the XT reeks of refinement and enthusiasm. 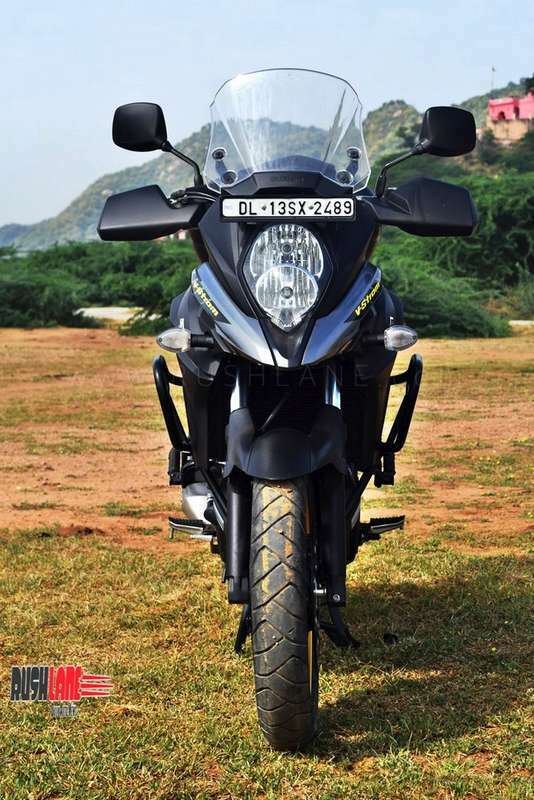 It loves to be revved unlike engines is similar genre that somehow feel reluctant to spin from lower revs. 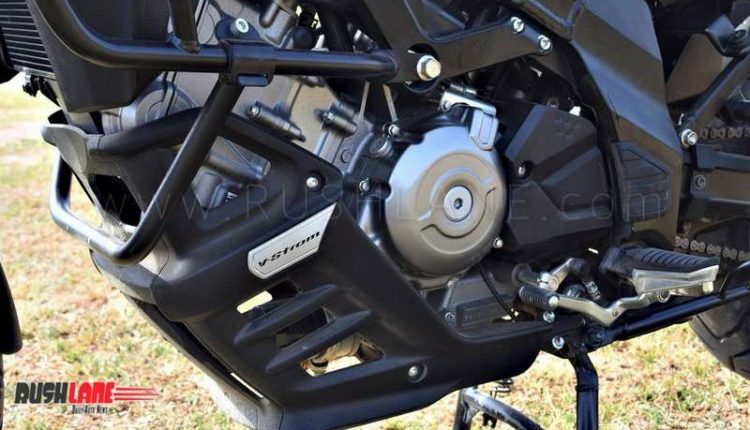 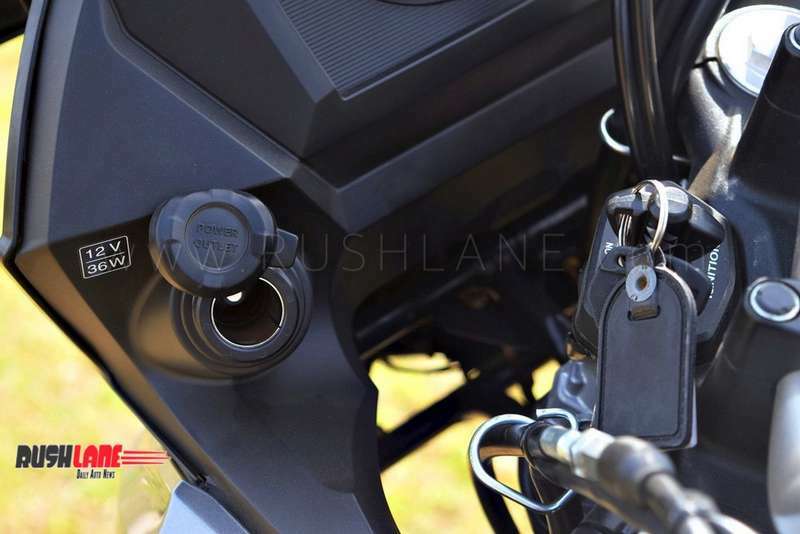 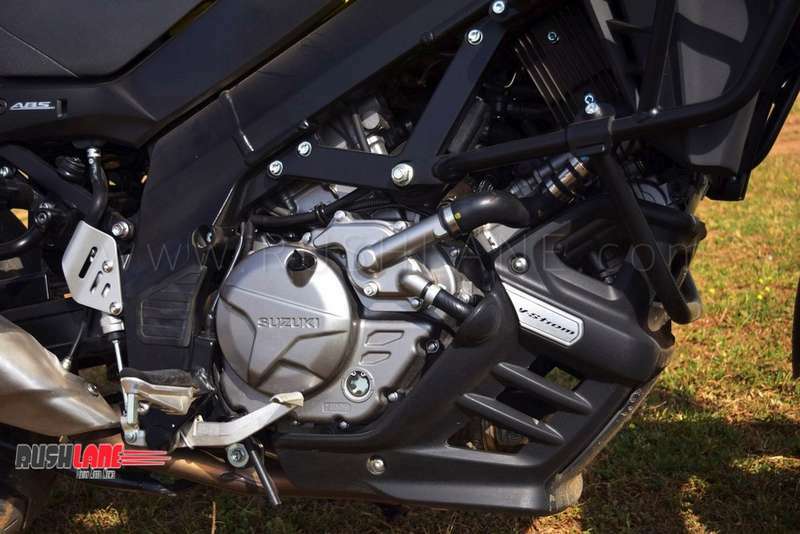 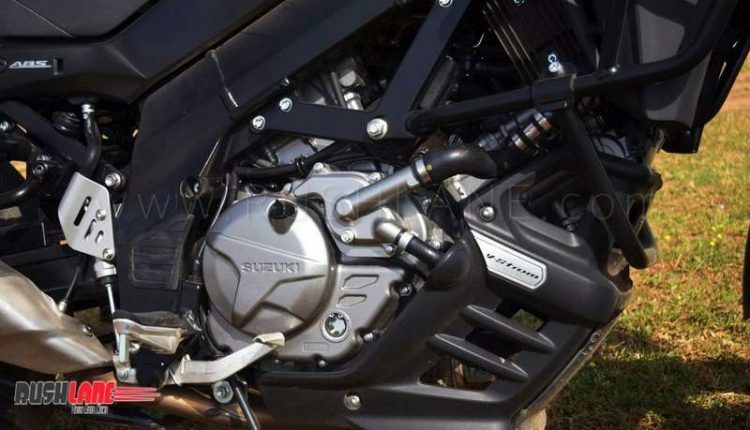 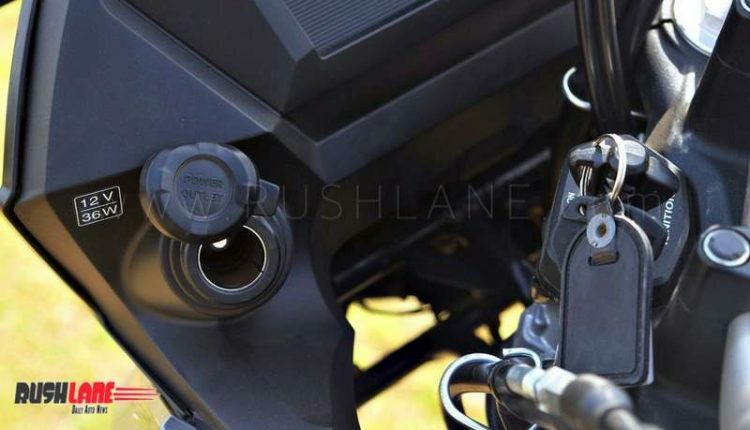 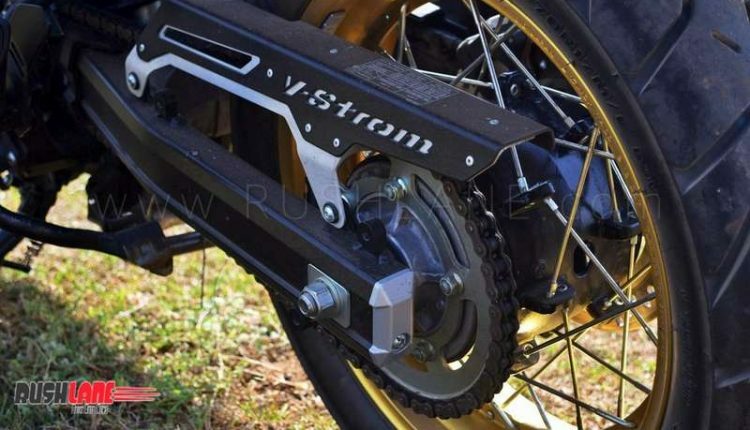 It’s easy to mistaken the motor for a parallel twin than a V. The XT could trot along in top gear just a shade over 2500 rpm with the “Low RPM Assist” ensuring you don’t stall the motorcycle under crawling conditions. 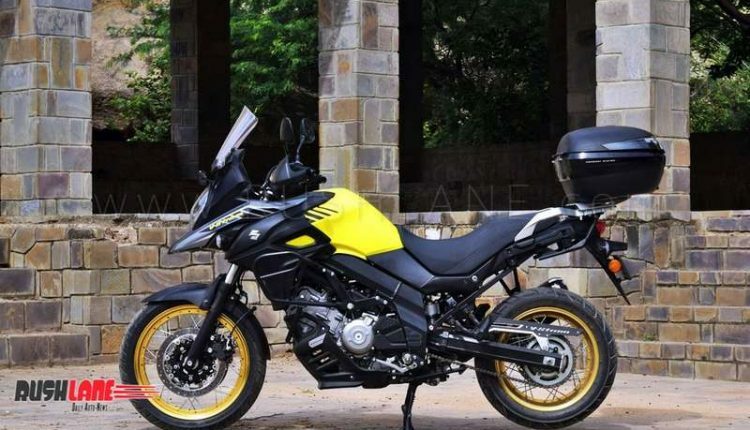 It gets into its touring element post 3500 rpm doing 80 kph with 100 and 120 kph coming up at 4500 and 5500 rpm respectively. 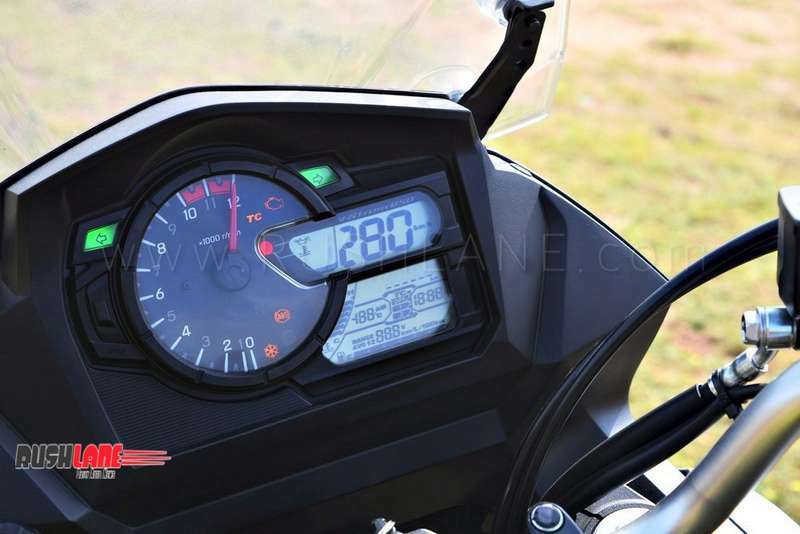 The motor feels unstressed even at 150 kph with the tach hovering around the 6800 mark with ample revs to hit the redline at 10,000 rpm. 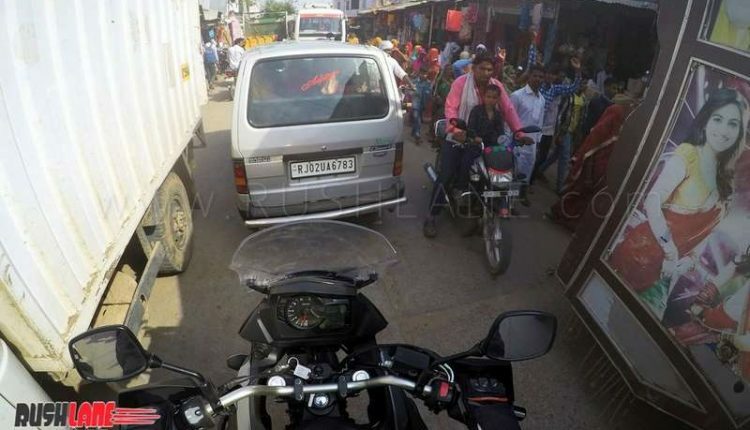 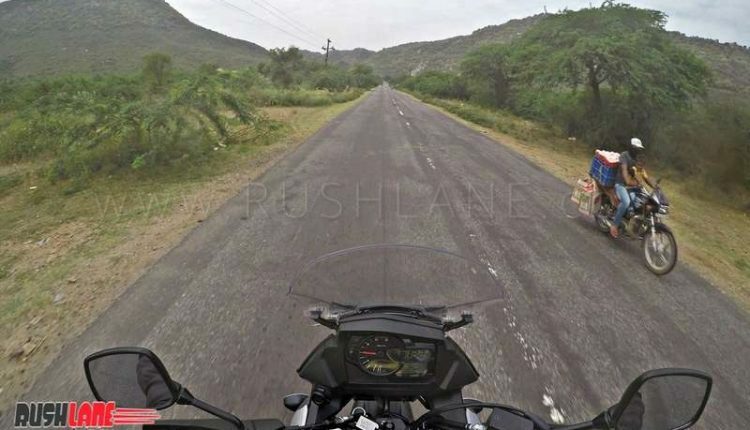 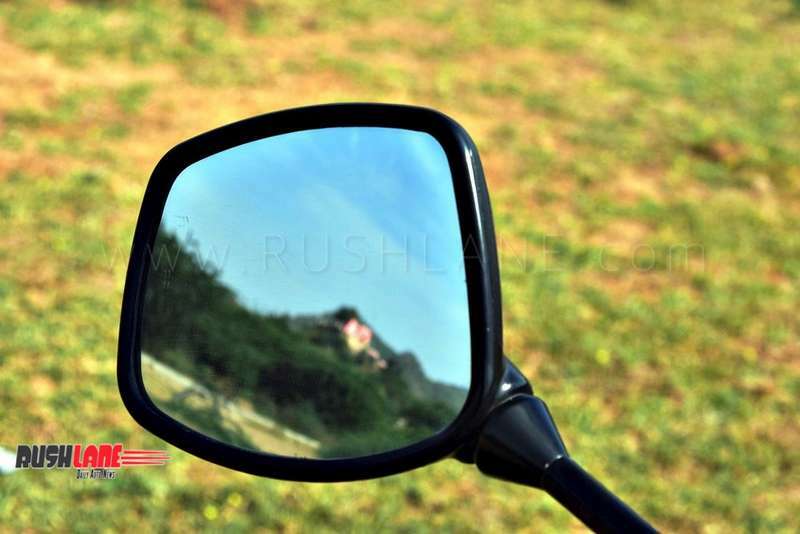 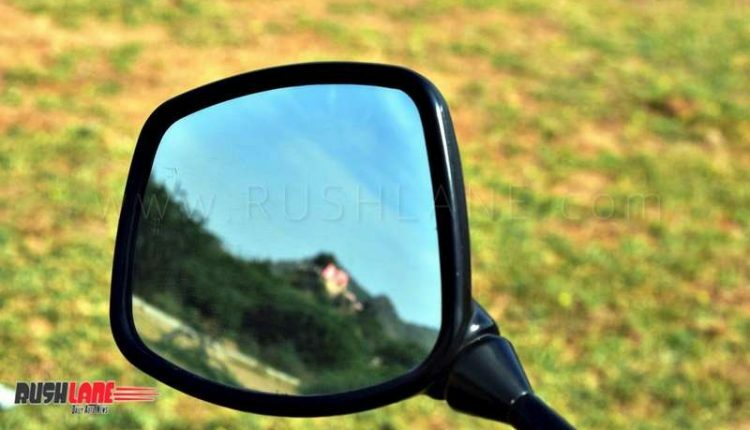 Engine heat feels well controlled while it was subjected to crawling snarls riding through the interior routes flogged with pilgrims towards the haunted grounds of Bhangarh. 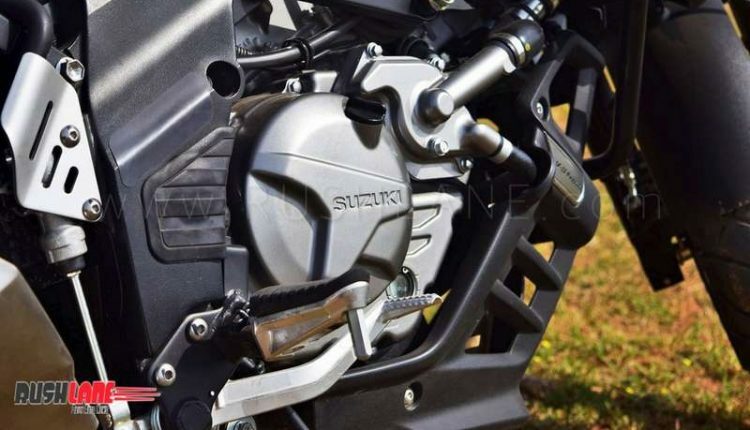 The six speed gearbox is slick and feels effortless scrolling through the transmission. 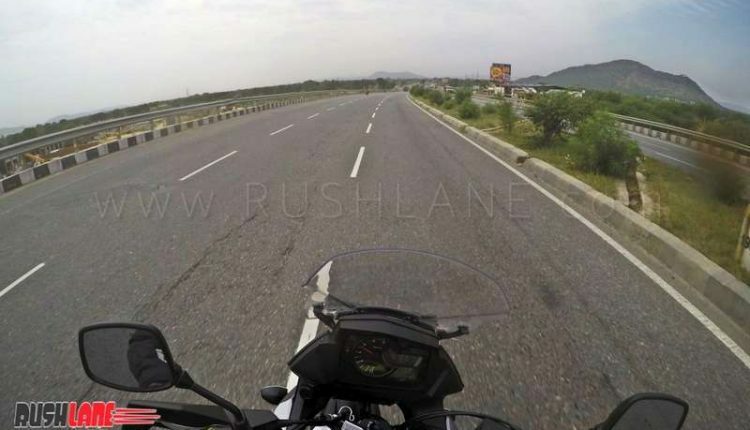 We managed to hit a top speed of 180 kph and the engine showed great composure as we tried to go higher up but in vain with crosswinds not helping our cause either- reaching 200 kph definitely seems a challenge. 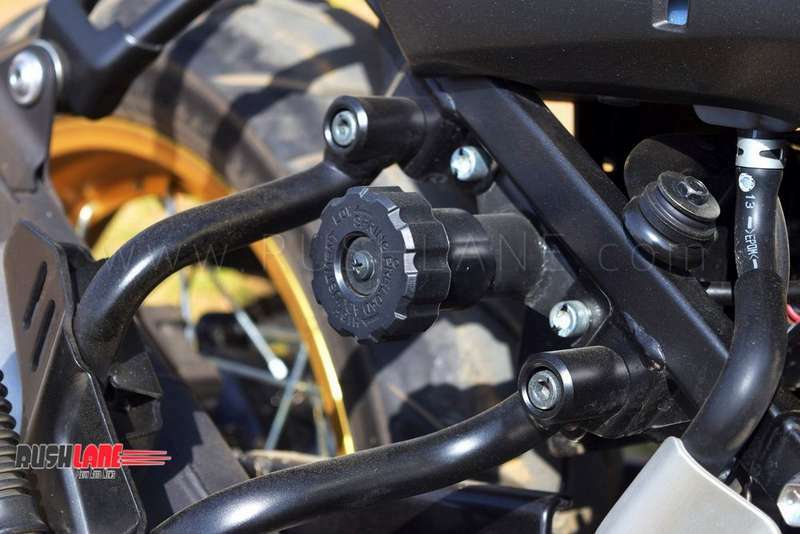 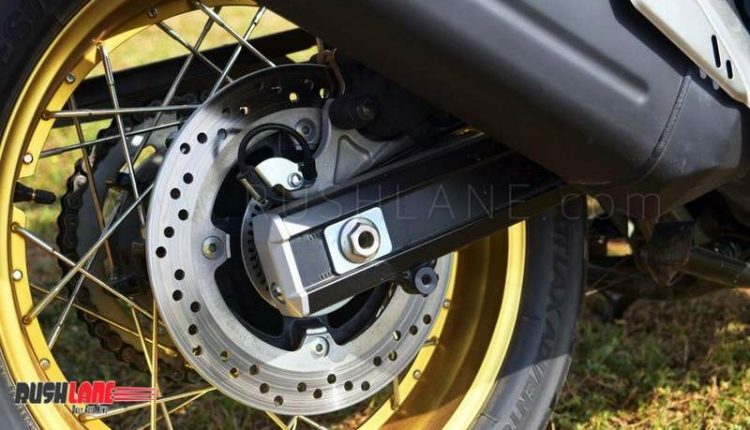 Two levels of switchable traction control are offered standard on the 650 XT. 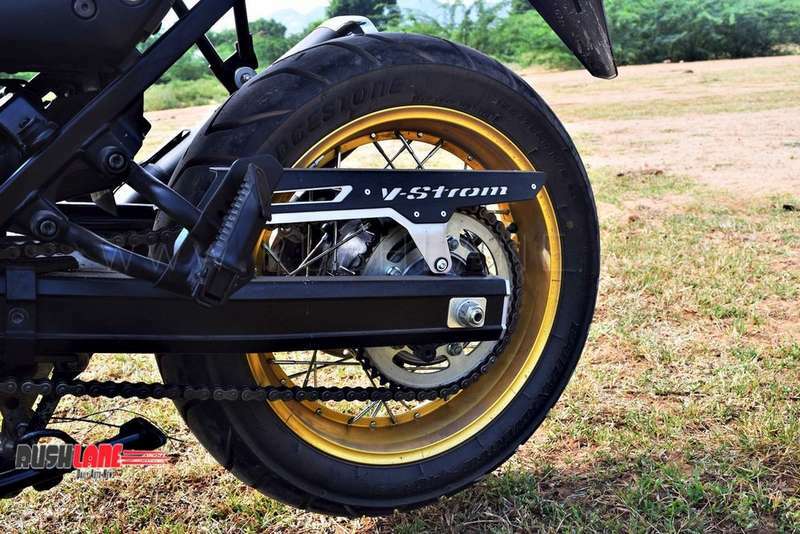 We switched to Level 1 during road riding which allows for modest wheel spins for that added fun factor- but didn’t sense any interference. 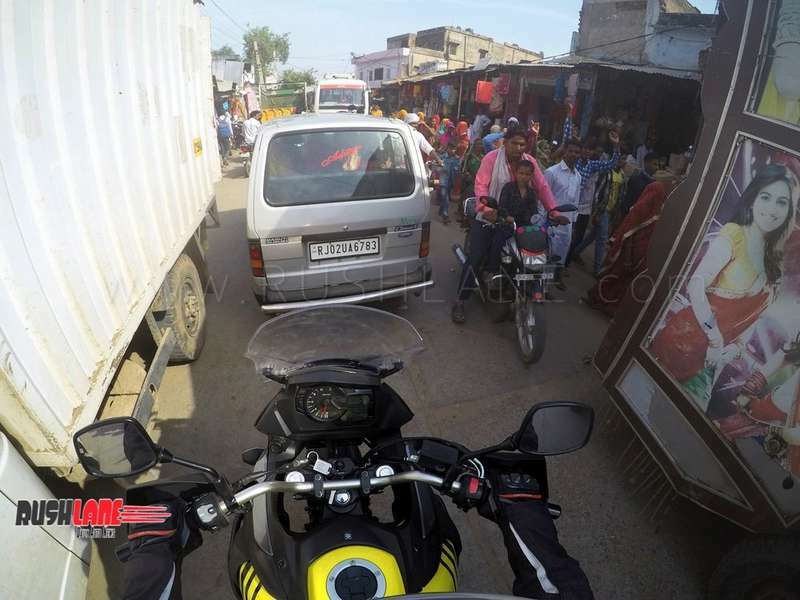 Switching to Level 2 while we took to loose broken surfaces and the intrusion was evident with the system alert to the slightest of wheelspins. 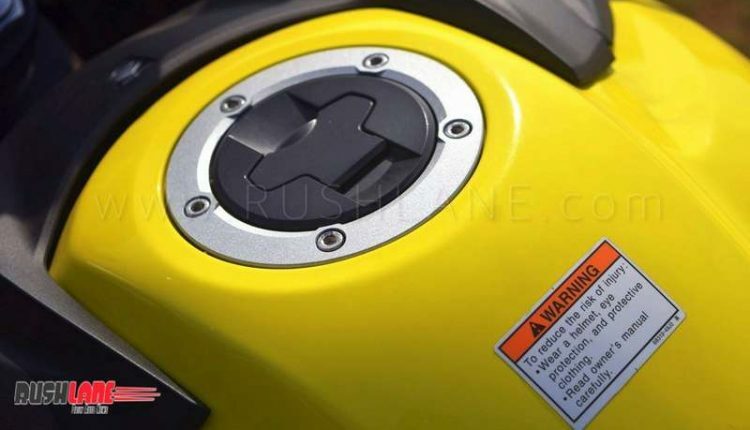 Unfortunately, it isn’t switchable on the fly and you need to stop to disable or change the TC levels. 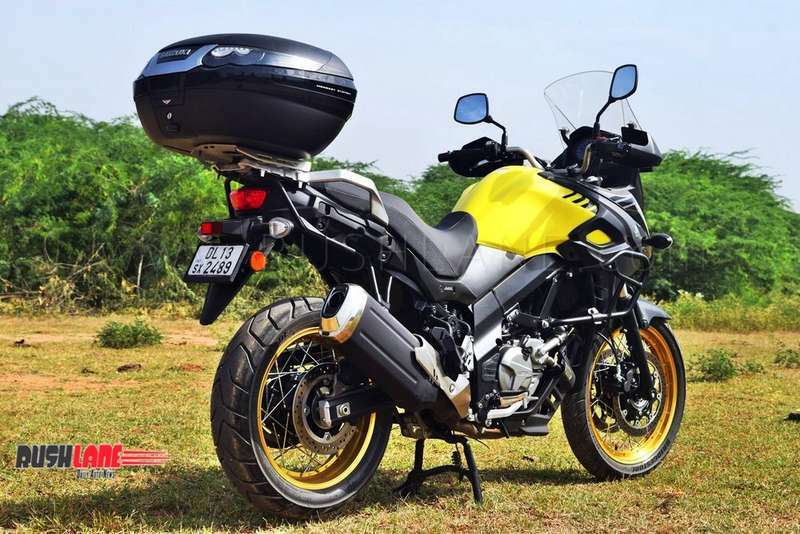 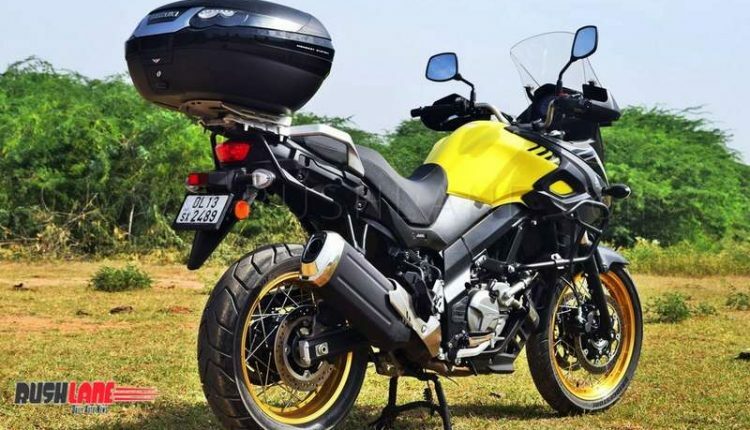 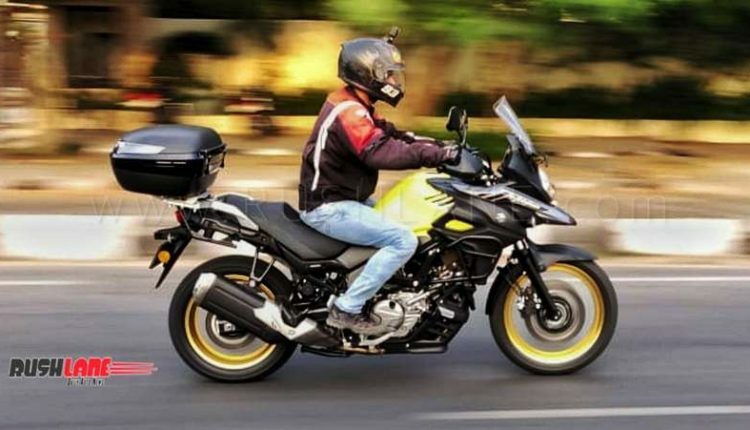 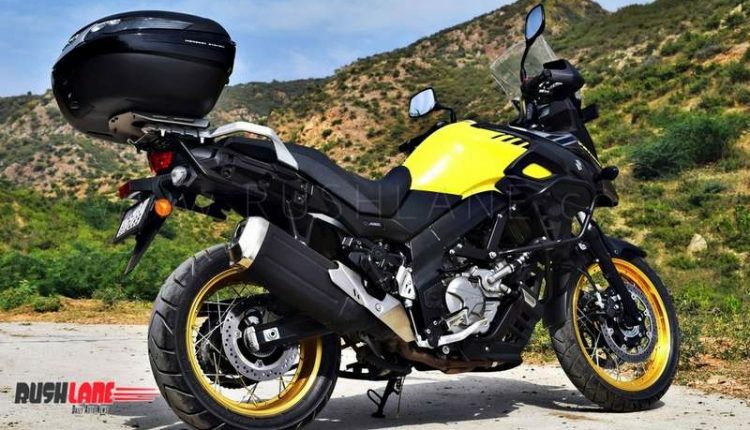 Overall, the motor on the V-Strom feels a resilient unit and can relentlessly carry you and your touring needs (pillion included) from dawn to dusk. 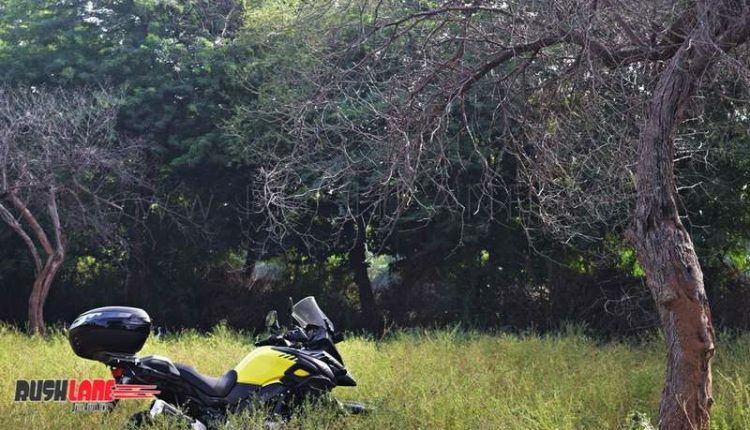 Riding position feels spot on and the overall ergos entail for long distance touring. 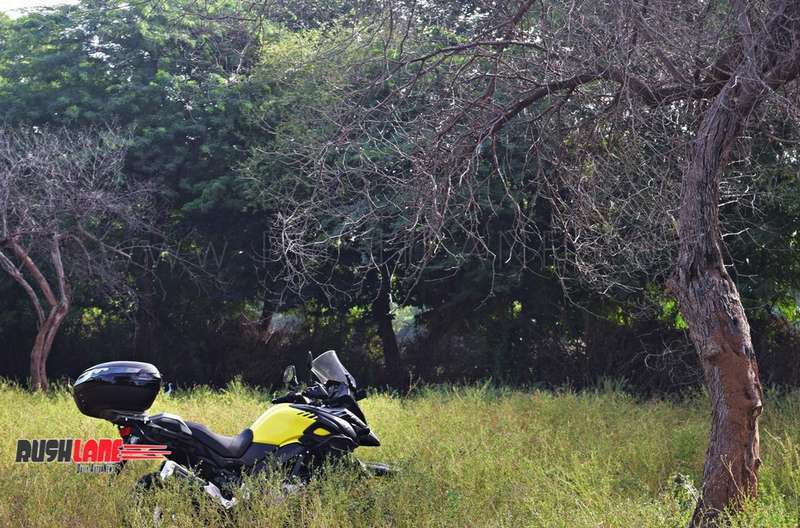 You feel the natural slip into the motorcycle with no stress at any anchor points on the XT. 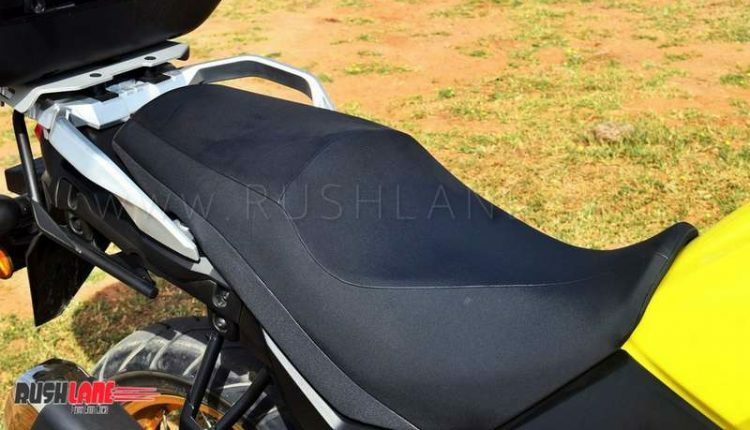 The scooped rider seat is wide enough offering great comfort under all riding conditions. 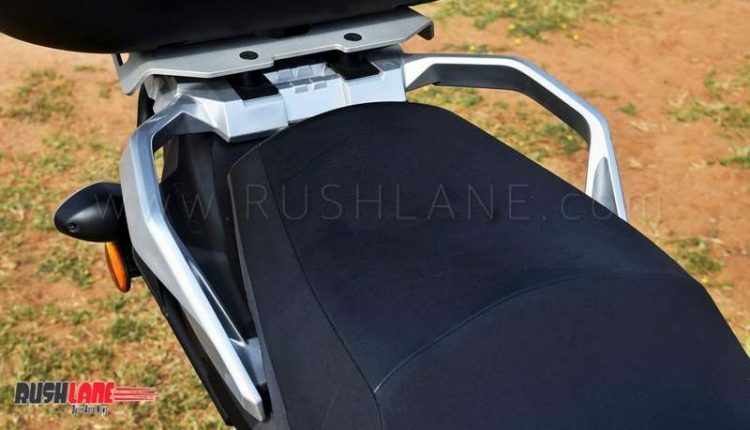 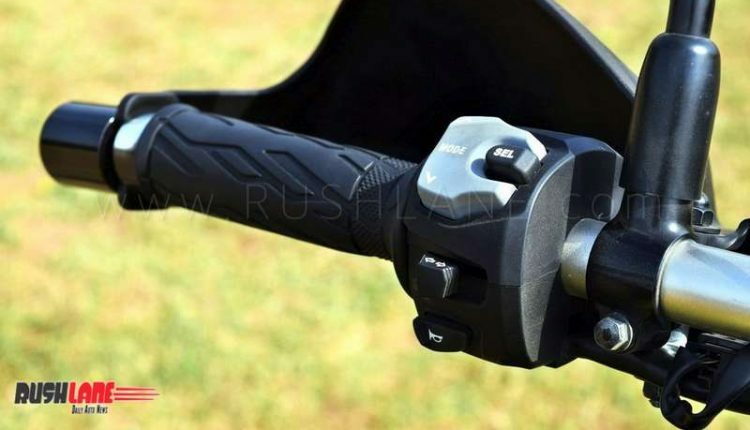 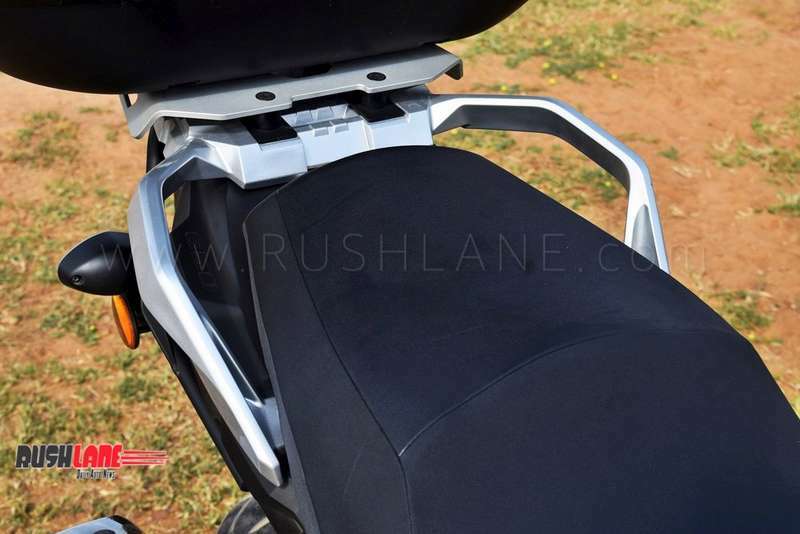 The pillion seat is no different and should keep the co-rider happy even while tackling road ripples. 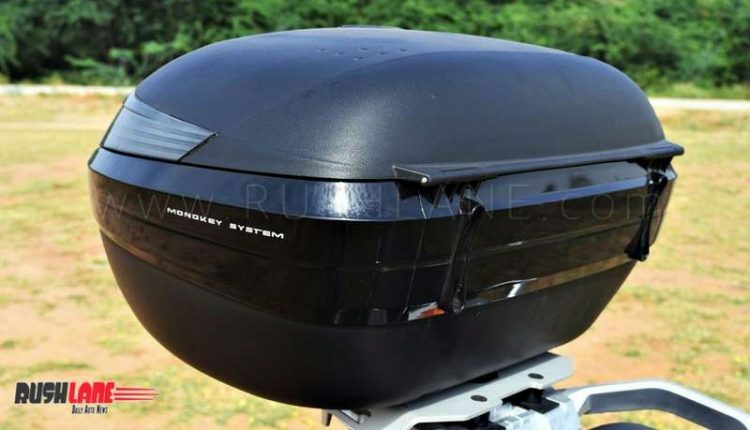 The windblast feels well controlled rushing over triple digit speeds and at 5.8’ height, I could only feel minimal buffeting at the topmost part of the helmet. 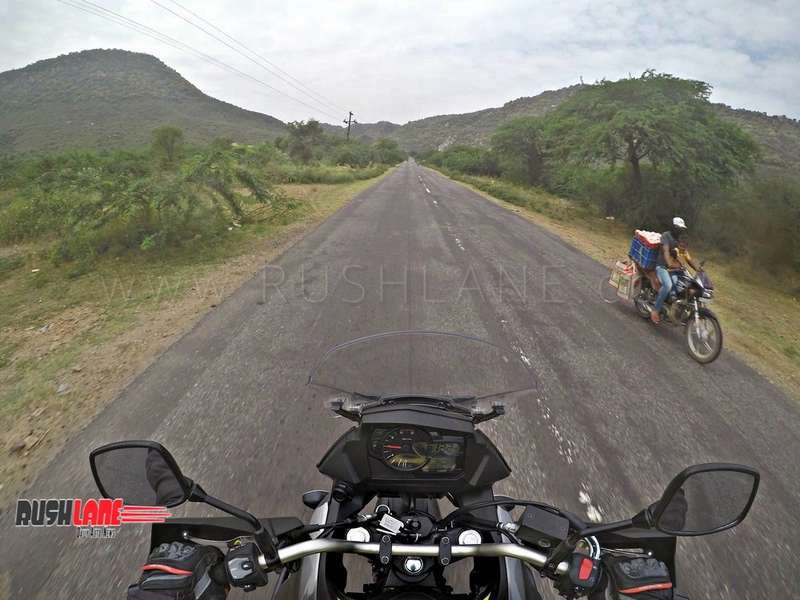 Taller riders would feel the need of an equally tall touring screen to minimize drag on their touring ventures. 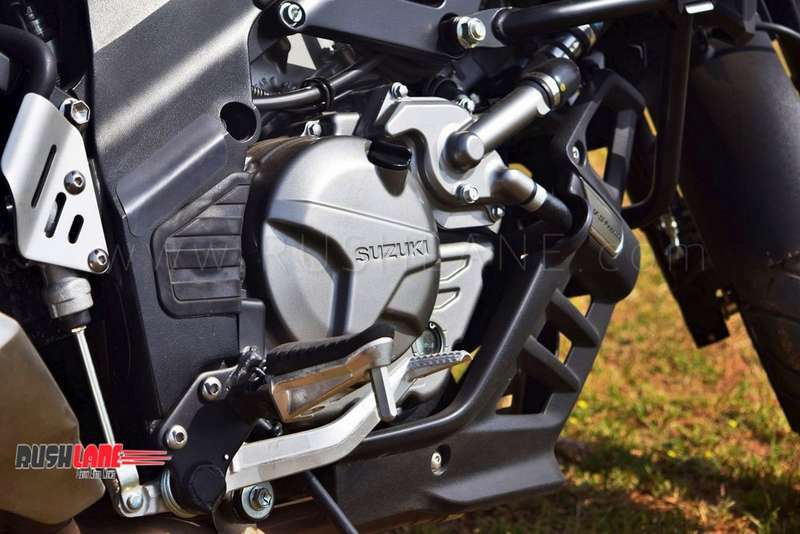 Also at my given height, I could barely flatfoot- but thankfully Suzuki offers a lower seat that cuts down the ride height by 20mm. 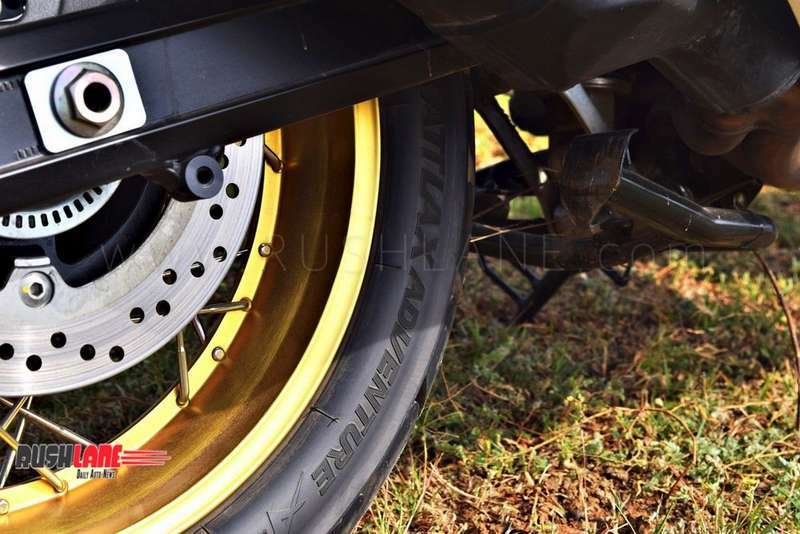 Ride quality on the XT feel is excellent and the motorcycle is more than capable of confronting usual pits and bumps. 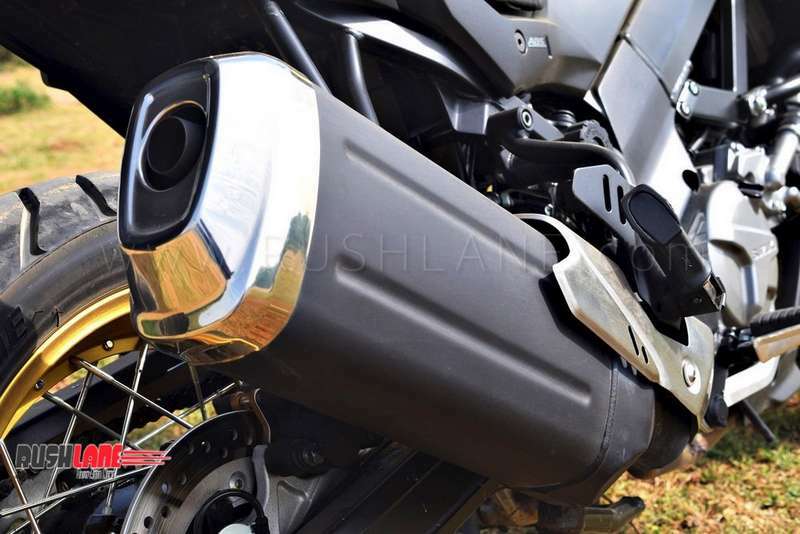 The telescopic front with 5.9 inches of travel extends adequate soaking ability against broken tarmac and medium off-road undulations. 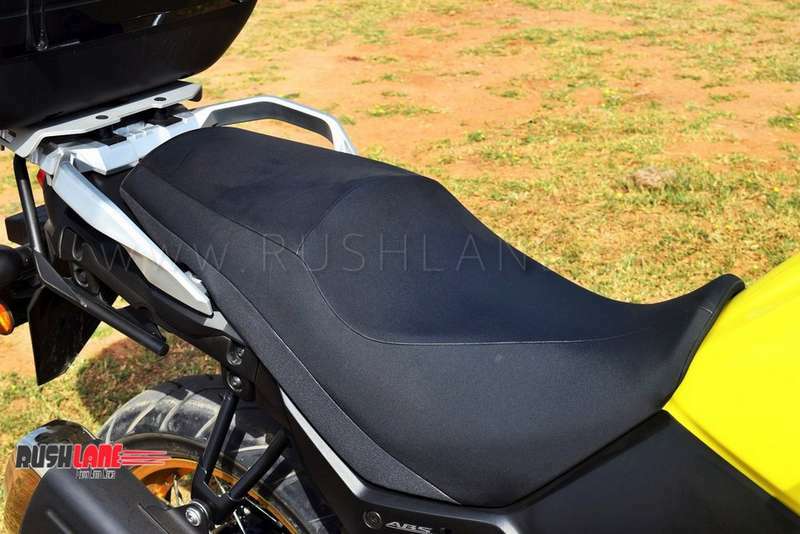 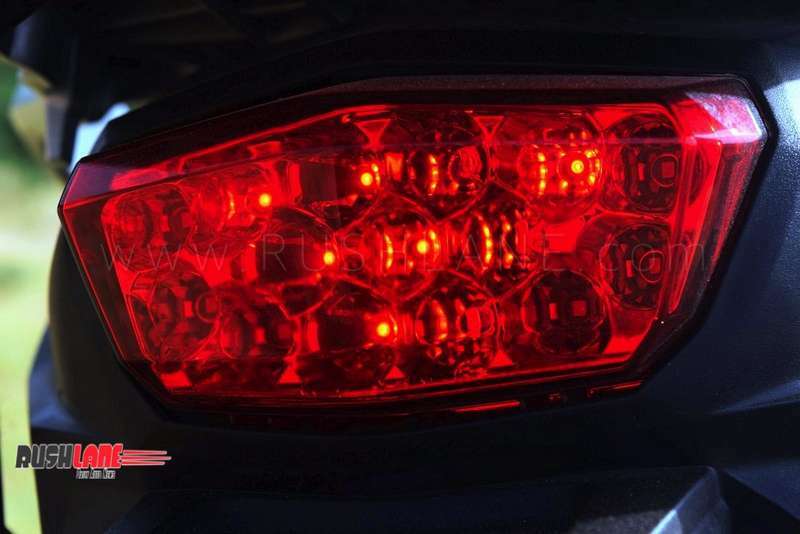 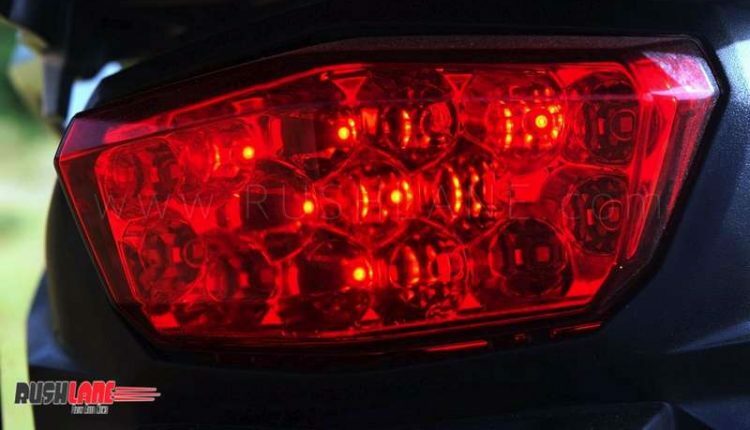 However it’s left wanting when the bumps amp up and you can feel the batter at the front which somehow works against the adventure touring tag bestowed upon the motorcycle. 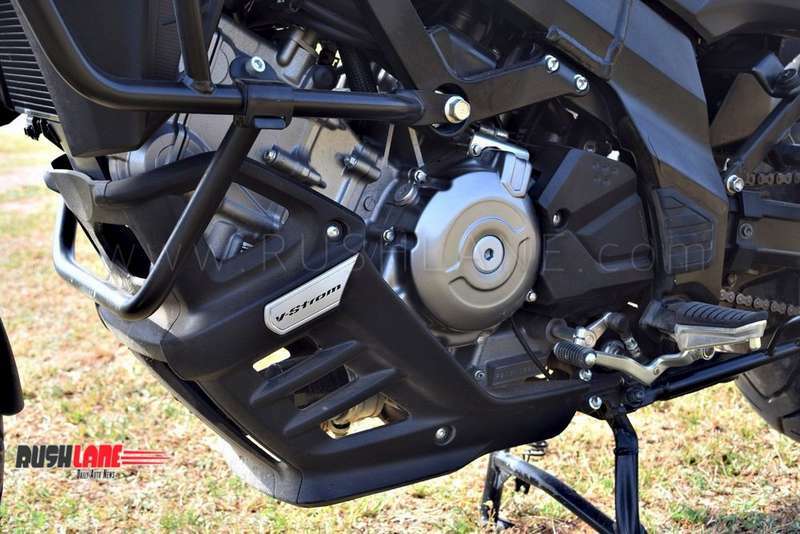 The rear suspension with 6.3 inches travel in contrast show tremendous compliance to rough and broken surfaces soaking up anything that treads its line of ride. 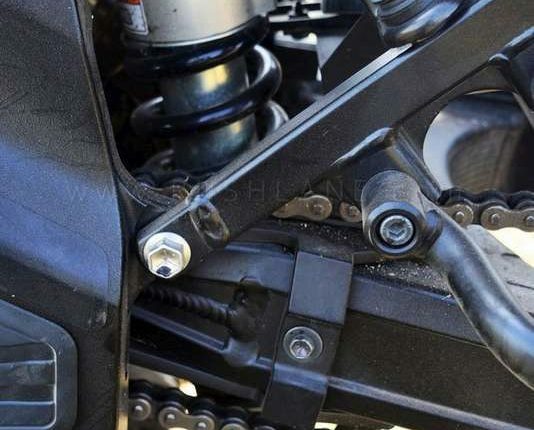 Unfortunately the bottom linkages at the rear monoshock play spoilsport and tend to brush and grind against demanding surfaces. 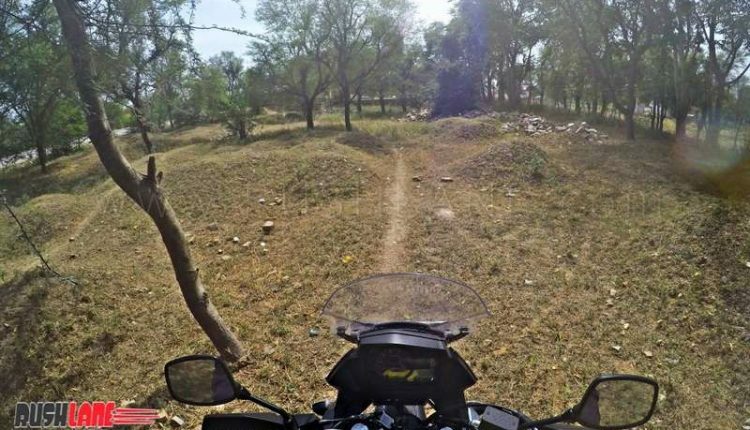 So it’s best to exercise discretion of not being over-adventurous on the XT and sticking to the tarmac and only mild off-trail endeavours. 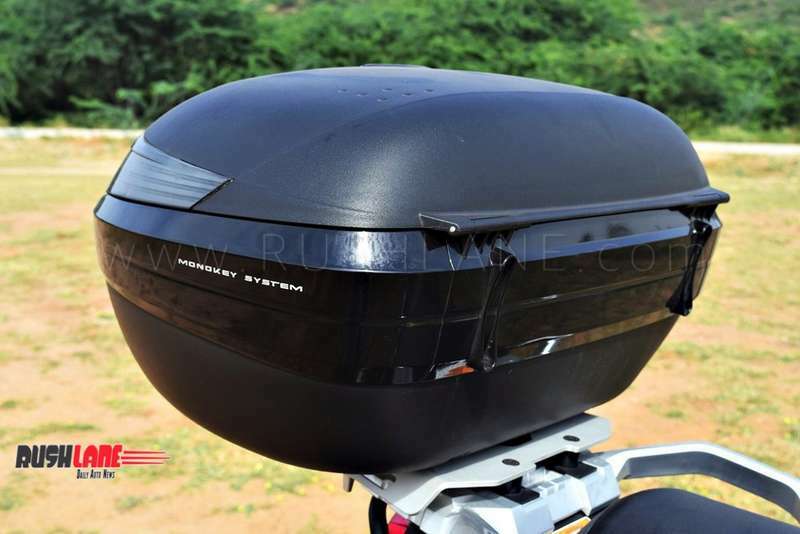 The top box offered on the motorcycle seemed to dislike bad roads too and would shiver and squeak to the extent that we decided to get rid of them. 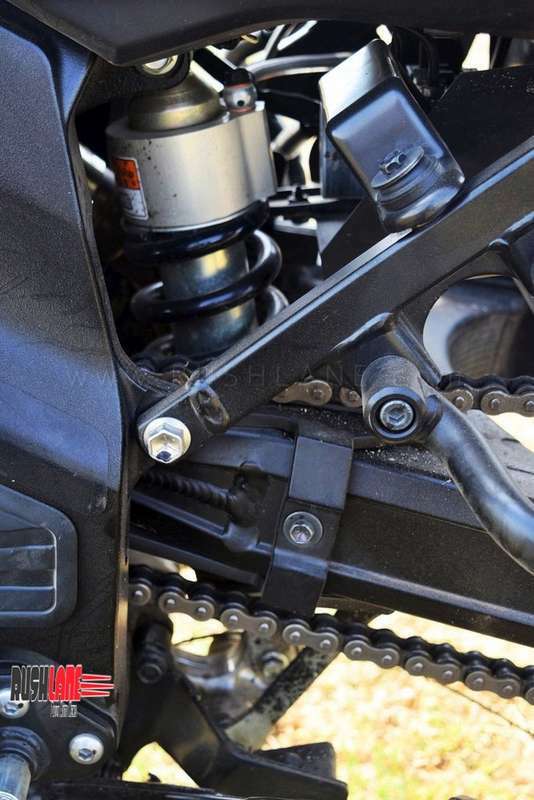 Off-road criticisms apart- the XT is incredible when it comes to balance on both on and off the road. 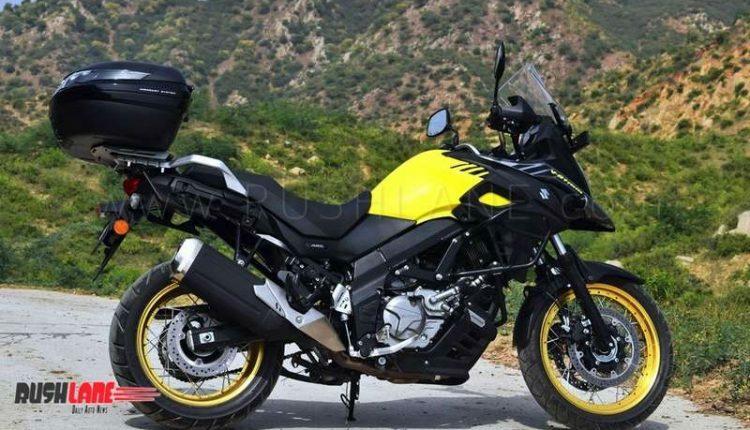 Thought it would be a sizeable motorcycle to look at, but once astride- it seems to have lost mass. 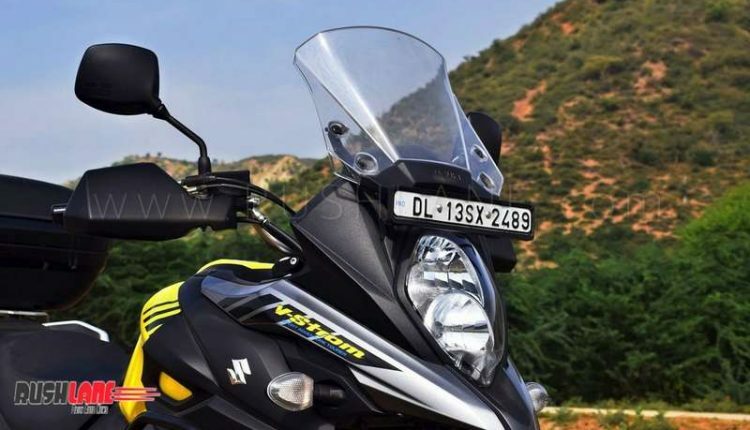 The commanding riding position and the proportions do impart a big bike feel, but it feels as easy as a 250cc motorcycle to potter around. 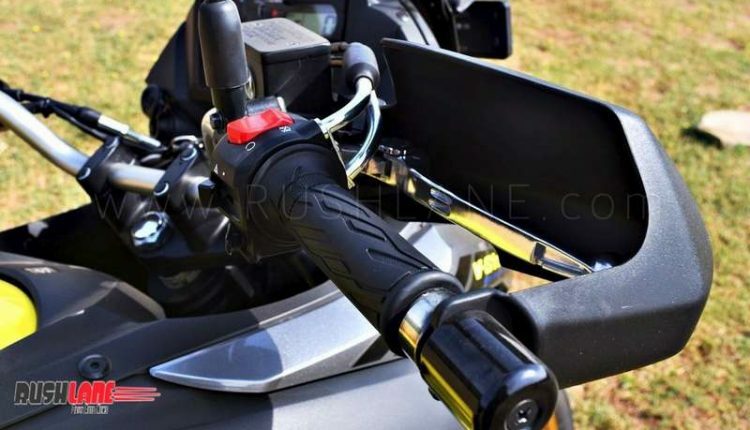 There’s no rebuttal to any directional input and the XT stays as neutral as one would expect from a brilliant piece of machinery. 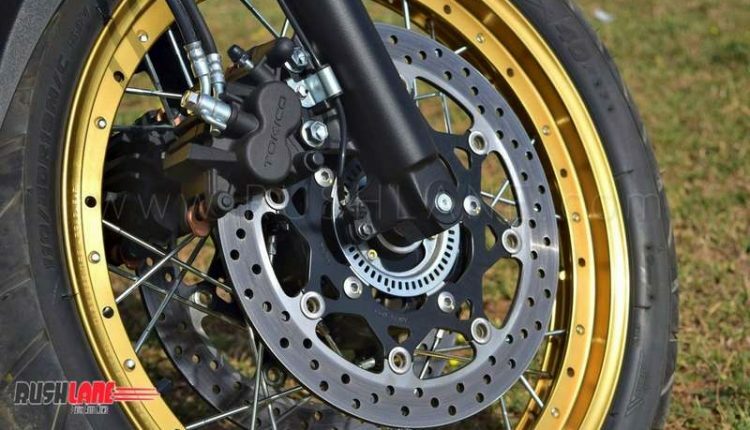 High speed stability in a straight line is impeccable and it exhibits similar traits while going around bends. 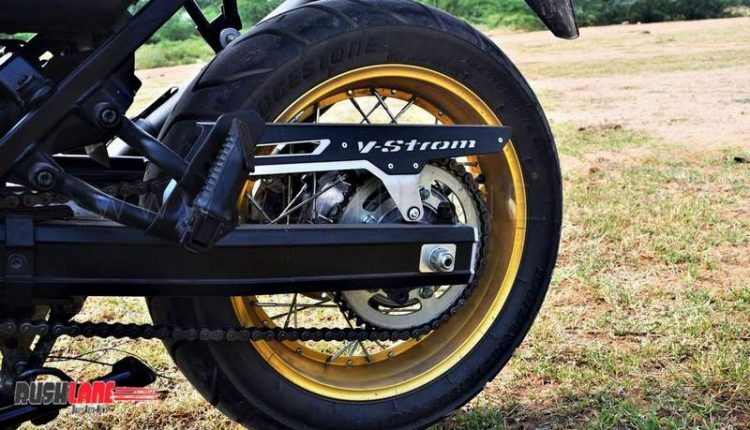 The front suspension travel that we were grumbling extends that assured feel during hard braking both in straight and cornering motion. 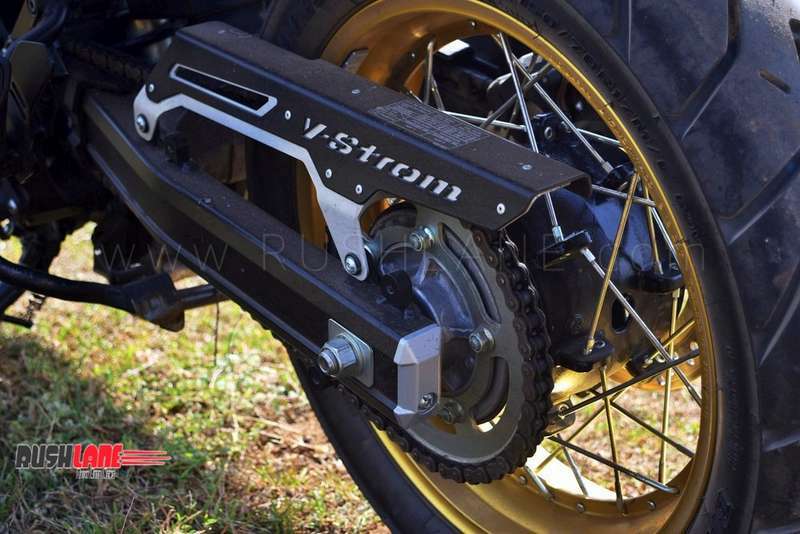 The brakes aren’t as sharp as we would have expected it to be considering the size and weight on the motorcycle. 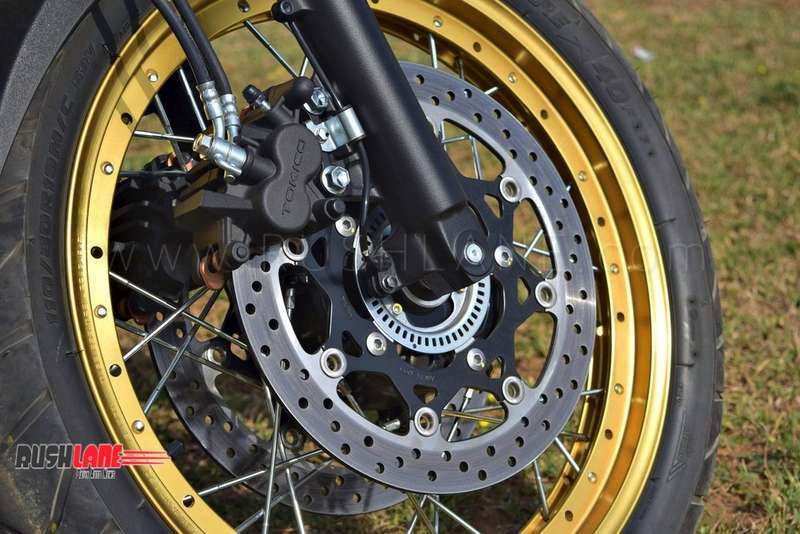 But the Tokico mounted 310mm twin front discs they do their job well with added input at the levers and the single 260mm rear disc complementing its part to shed momentum. 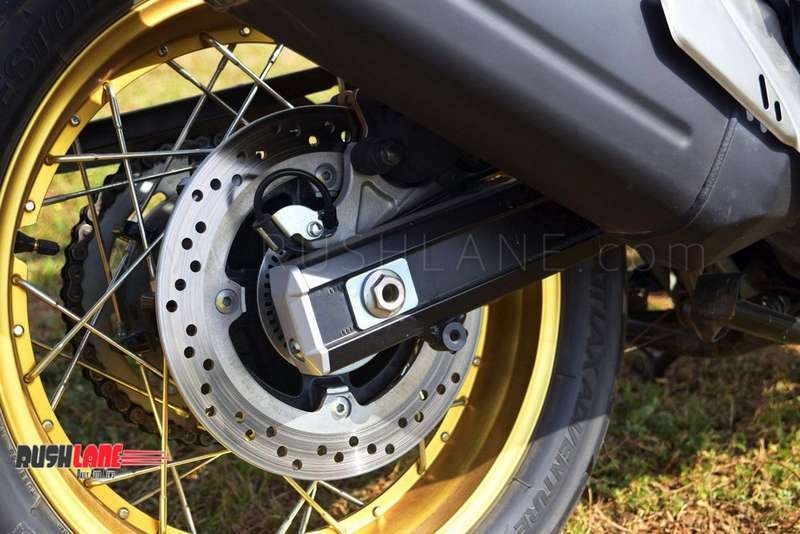 It doesn’t make a flattering impression at first and might raise a hair or two while braking from high speeds- but it’s all a matter of getting accustomed to the braking nature which doesn’t take much time. 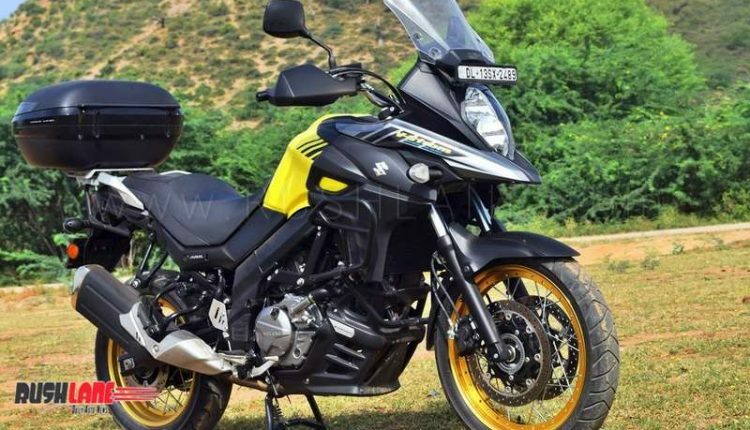 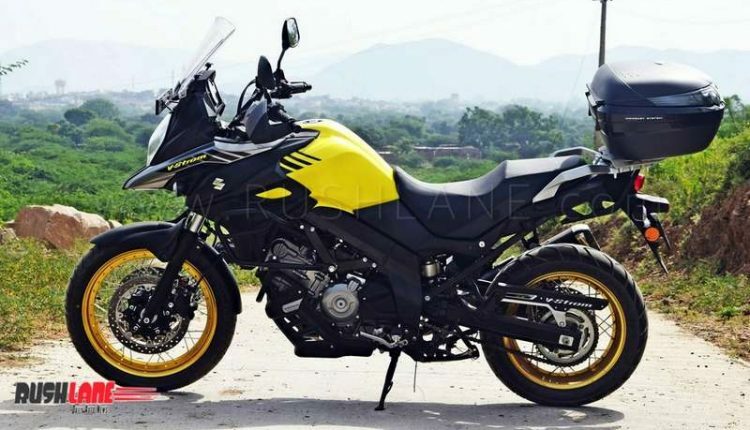 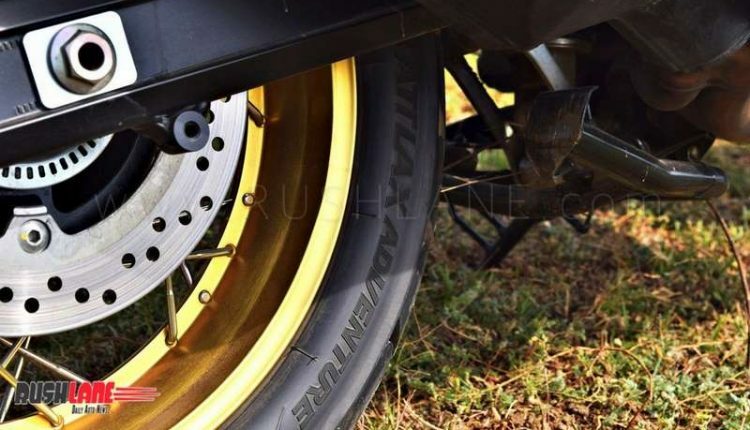 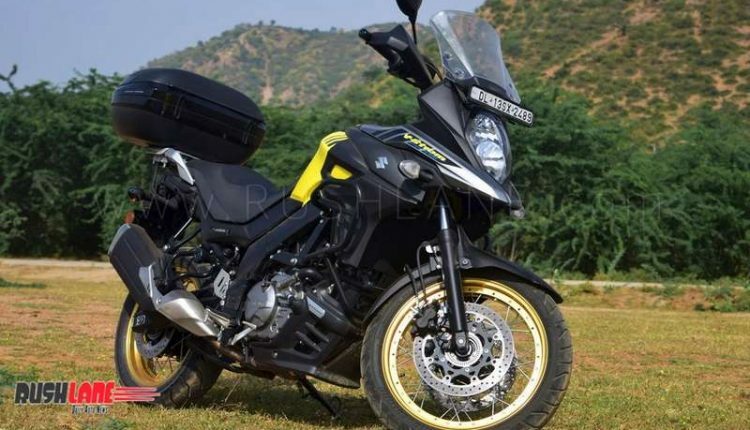 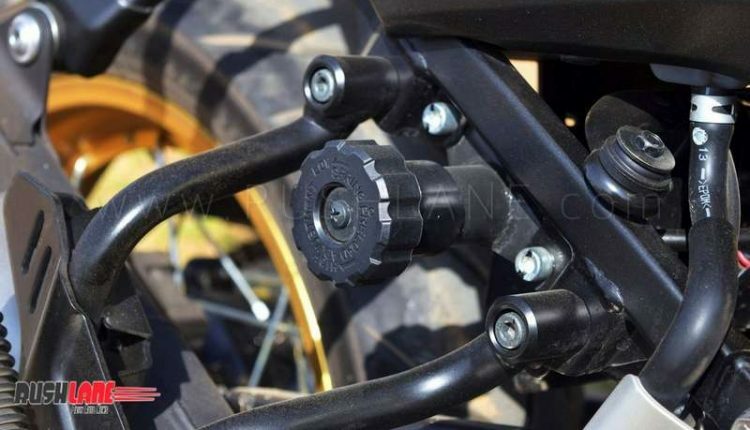 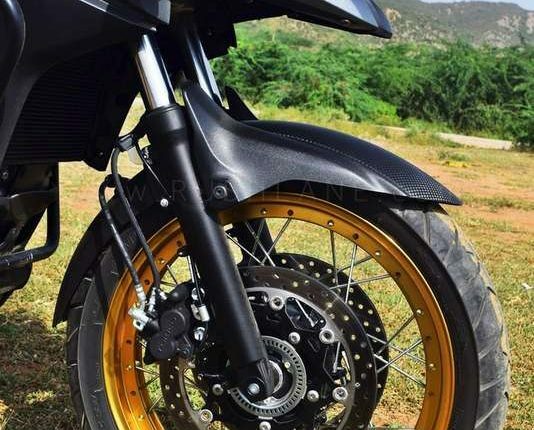 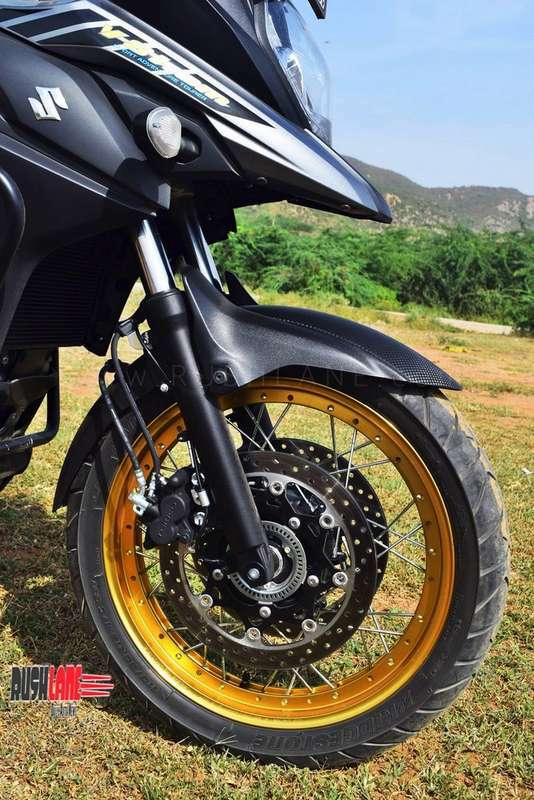 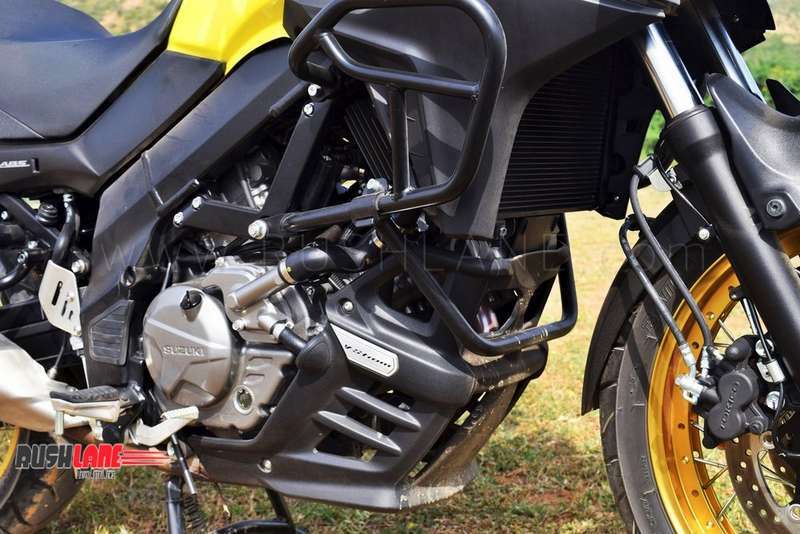 The Bridgestone Battlax Adventure A40 tubeless tyres said to be specially developed for the XT provide ample road-hold under riding and hard braking while the ABS is well calibrated to kick in when either the surface or your input throws you a surprise. 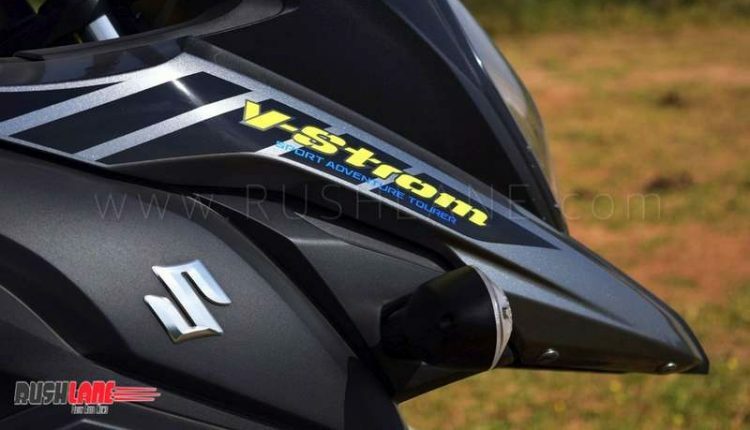 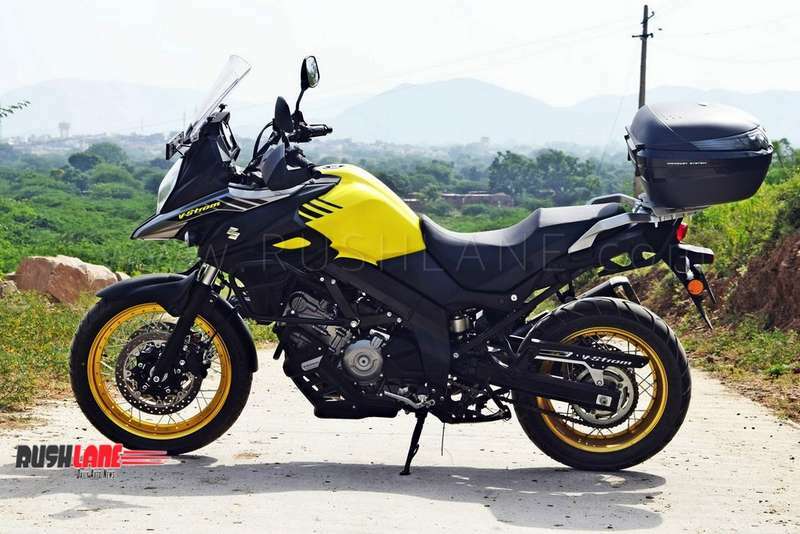 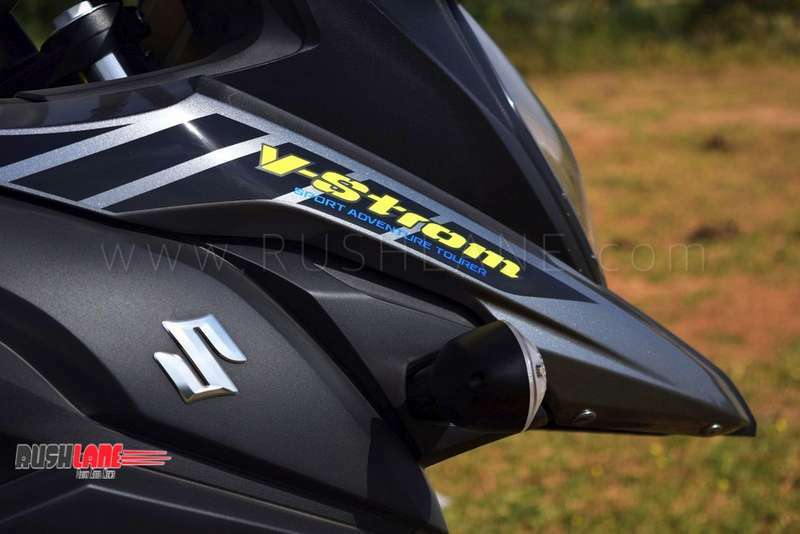 Overall it was nothing but an impressive stunt with the new Suzuki V-Strom 650 XT. 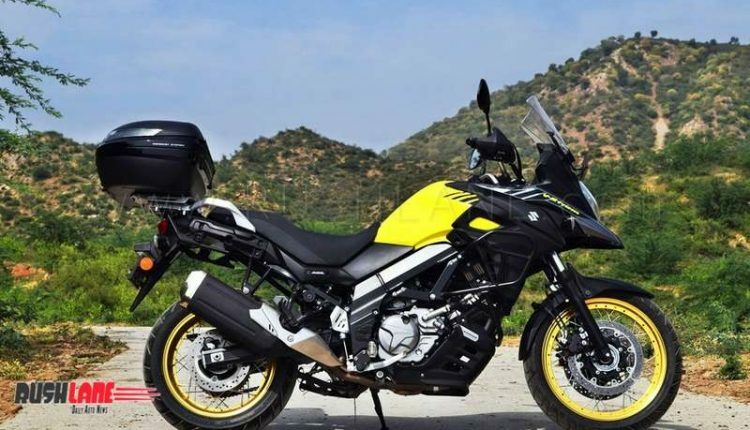 It looks fabulous and has all the ingredients of making for a perfect touring machine, though the adventure touring tag shouldn’t be taken too seriously. 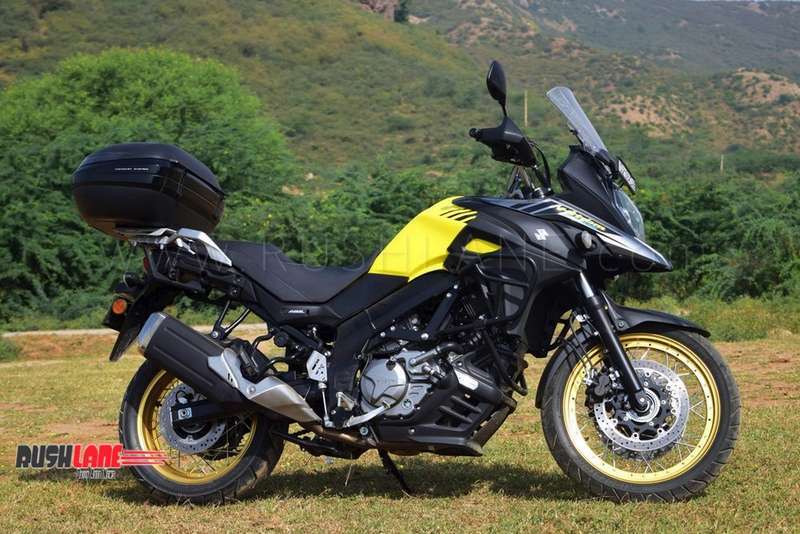 It’s a great road touring motorcycle that would handle occasional mild off-roading and it’s pretty frugal at sipping. 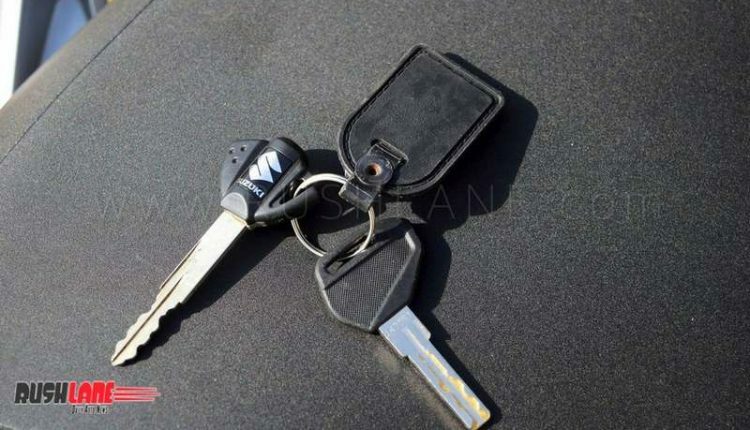 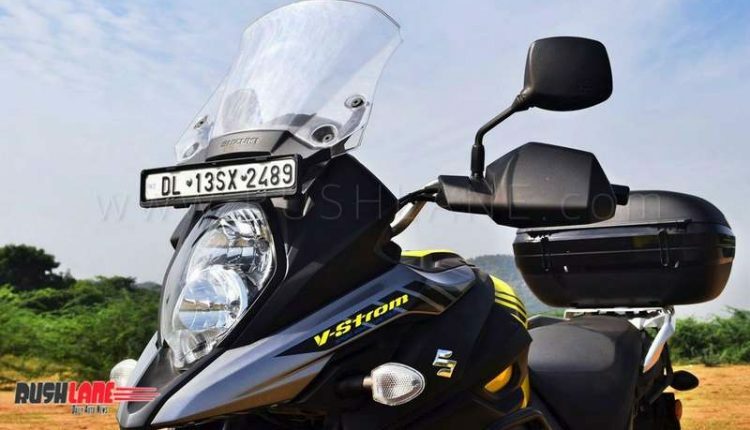 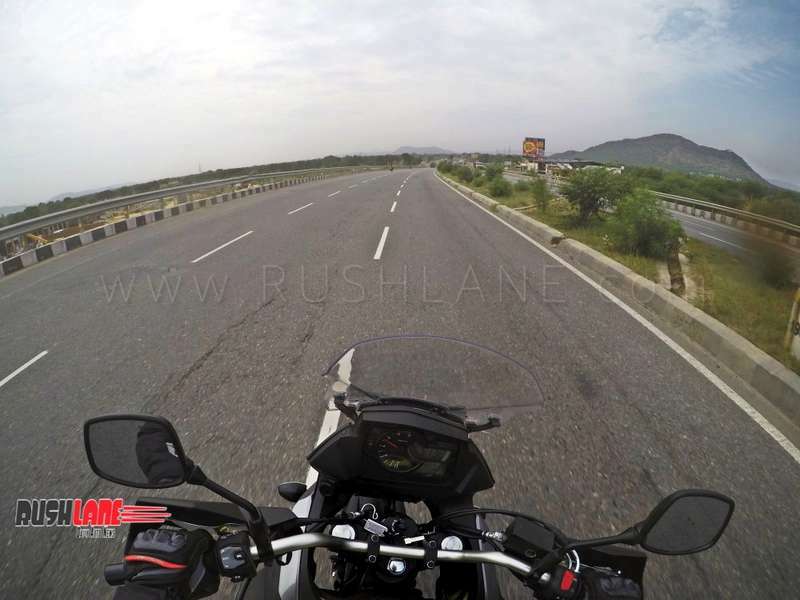 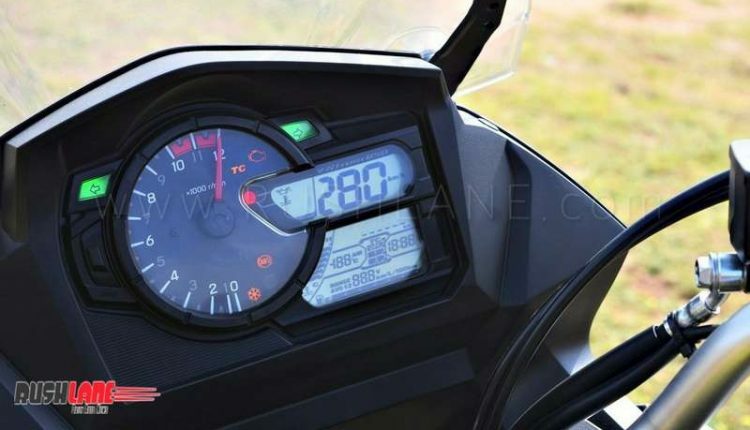 The V-Strom 650 XT returned a healthy fuel economy of 22.8 kpl on a 340 kms ride- major part where we exercised a heedless right wrist and even going by conservative numbers, it should ferry you for around 350 kms before a refuel halt. 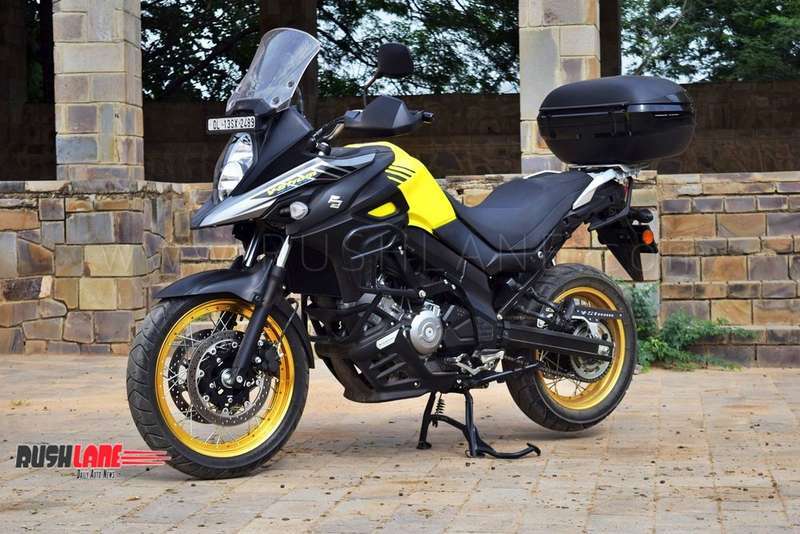 At Rs 7,51,507/- (ex-showroom, Mumbai)- it does demand a premium over a few other touring machines- but given the eye candy appearance, flawless hardware and performance on offer, we feel it’s worth every rupee in case you decided to bring the new Suzuki V-Strom 650 XT home.